Is Mercedes’ new subcompact good enough for this iconic Bimmer? The BMW 3-Series began production back in 1975 and is one of the German automaker's luxury sedans. 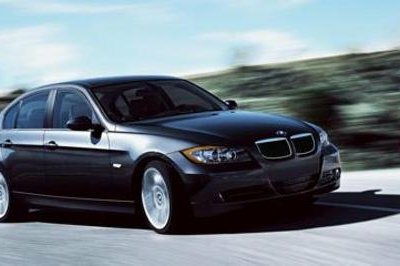 The 2012 model year will mark the 3-Series' sixth generation since its birth and will incorporate all of the current versions for the luxury car: 2-door coupe and convertible, 4-door saloon, 5-door touring, and 5 door liftback. 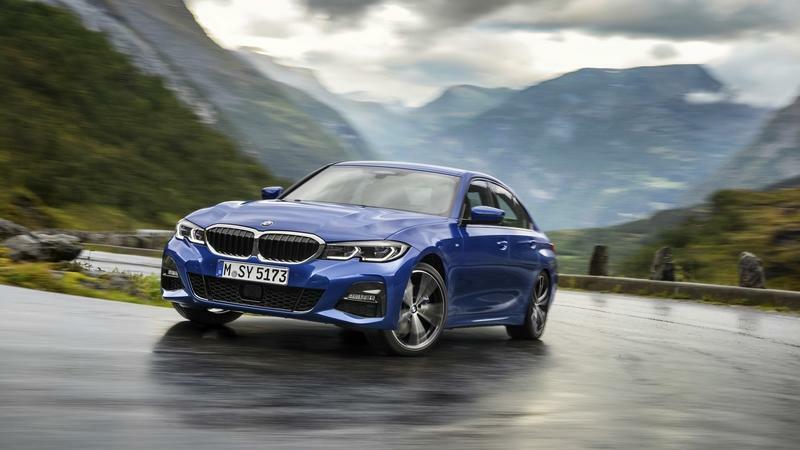 The new 3-series is expected to be powered with new aluminum four-cylinder gasoline engines ranging from 135 to 220 horsepower. The current model is powered by a choice of four different engine. The 3.0L I-6 produces 230hp and 200 lb-ft of torque, while the 3.0L twin turbo diesel gets 265hp and 425lb-ft of torque. Another option is the 3.0L twin turbo I-6 getting 300hp and 300 lb-ft of torque, and the final engine option is a 4.0L V8 producing 414hp and 295 lb-ft of torque. Engines can be mated to a six-speed manual transmission or a six- or seven-speed automatic. 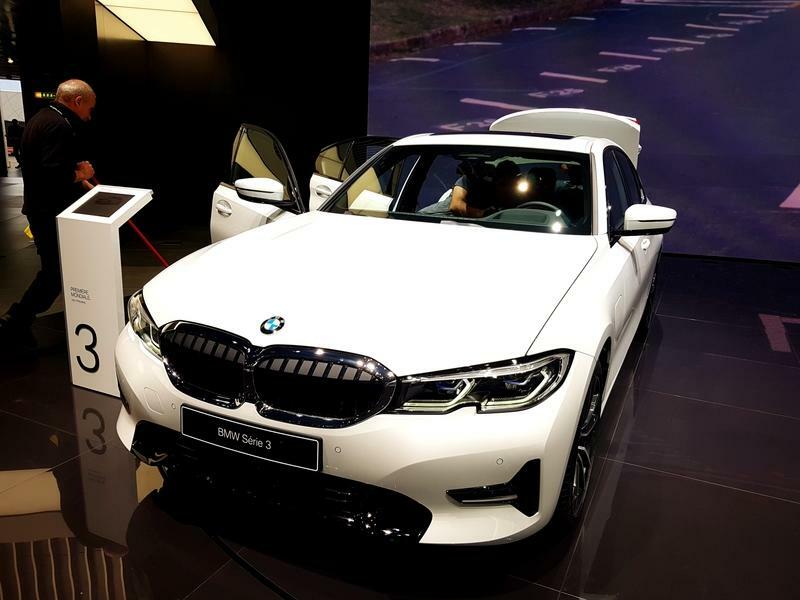 Unveiled at the 2018 Paris Motor Show, the G20 is the seventh generation of the iconic BMW 3 Series. 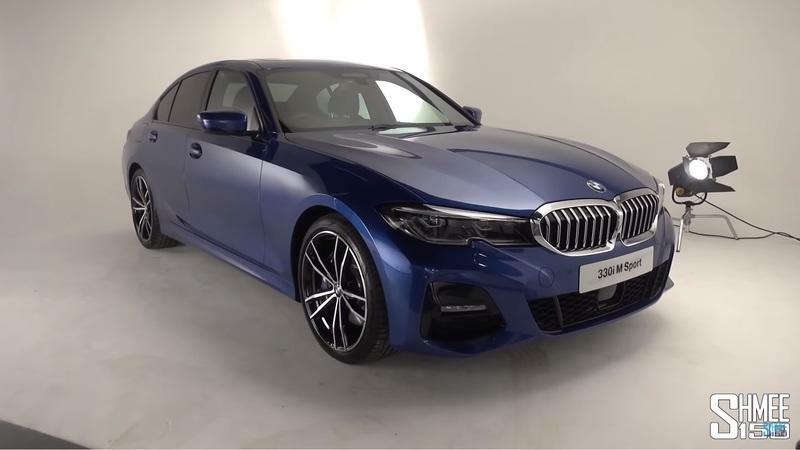 It replaces the seven-year-old F30 model and introduces a new design language, state-of-the-art technology, and updated engines. Borrowing features seen on recently introduced models like the 5 Series sedan and the X5 SUV, the 3 Series looks sportier than ever and it’s finally on par with its competitors in the technology department. It continues to feature four- and six-cylinder engines, but for the time being there aren’t any diesels to pick from. However, BMW confirmed that both oil burners and hybrids are underway. 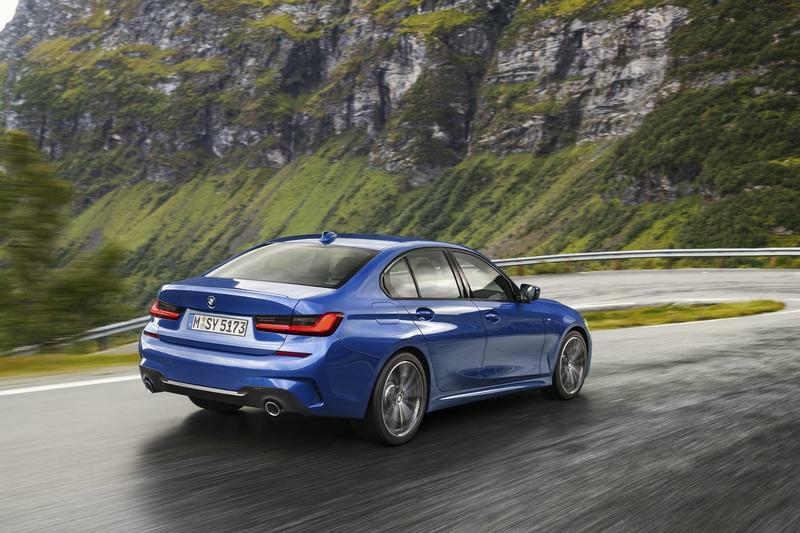 The Germans claim that "no single model has embodied the concept of the Ultimate Driving Machine better than the latest BMW 3 Series." Let’s find out if it’s true or not in the review below. Highly popular in its first years on the U.S. market, the Mercedes-Benz CLA returns in 2019 with a brand-new design. Drawing inspiration from both the sleek CLS and the latest A-Class, the CLA remains the sporty four-door coupe that made waves when it first arrived in 2013. But it now features a fresh interior, also taken from the A-Class, segment-leading technology, and an upgraded engine. How does it compare to its rivals? Well, the CLA doesn’t have that many rivals, as no other automaker produces a four-door coupe in this niche. 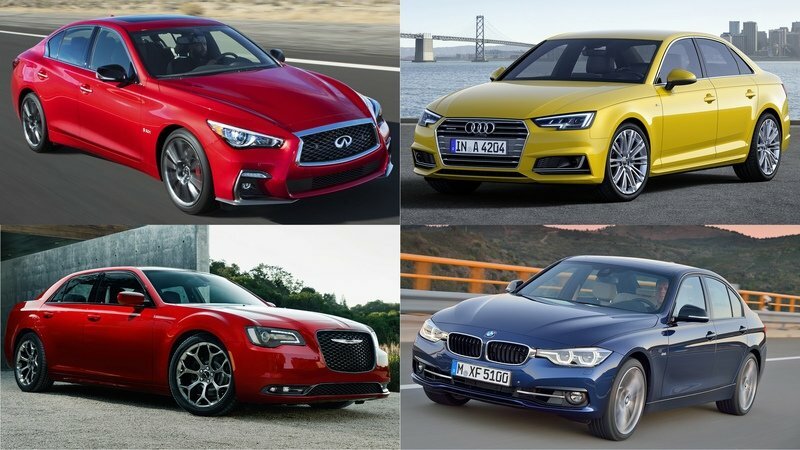 But, we’re comparing it to the BMW 3 Series, one of the sportier compact sedans, and one of the best-selling models in this class. Find out more below. Is BMW Preparing to Move Even Further Away From the Manual Transmission? What are you going to do with that free hand? Eat chips? If you are a stick-shift lover, proceed with caution. We heard some news that is not yet official and we sincerely hope it is just a baseless rumor. Blame the reduced demand for this, but according to Bimmertoday, BMW is planning to eradicate manual transmissions from even more of its models. Is there any reason to live in this world anymore? Premium automakers give China special attention because the Chinese market is so big and lucrative that it makes a lot of financial sense for them to do so and that’s why they all have long-wheelbase versions of the sedans they sell there. 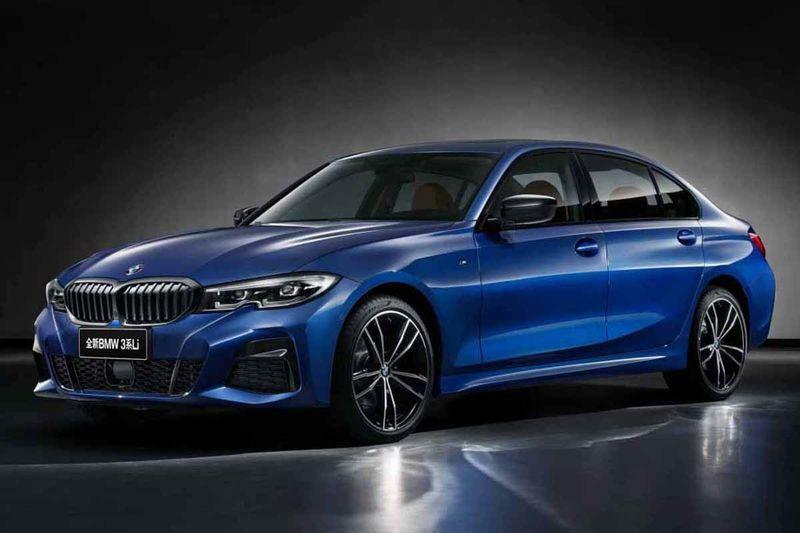 The latest premium sedan to be launched is the all-new 3-Series from BMW, and it really didn’t take long for the stretched model to make its appearance. 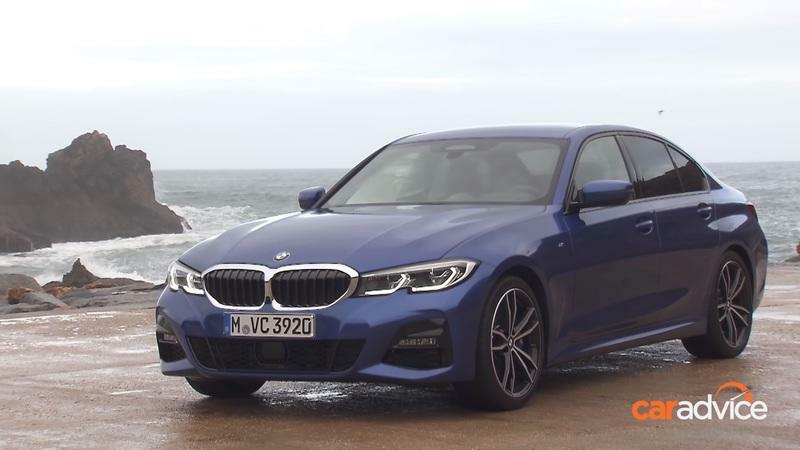 Journalists have tried out the all-new, seventh-gen, 2019 BMW 3-Series G20 at its official launch event in Portugal, and first impressions of the car are really good. 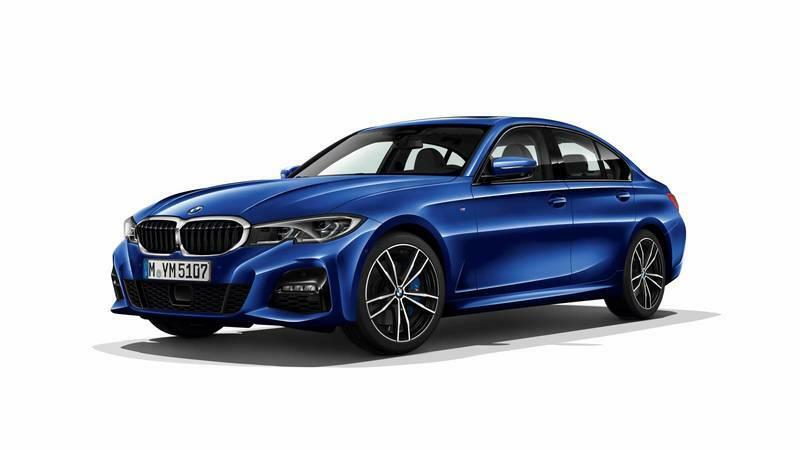 You’d expect BMW to want to pull out all the stops in order to get its smallest and most popular sedan right and, apparently, it did. 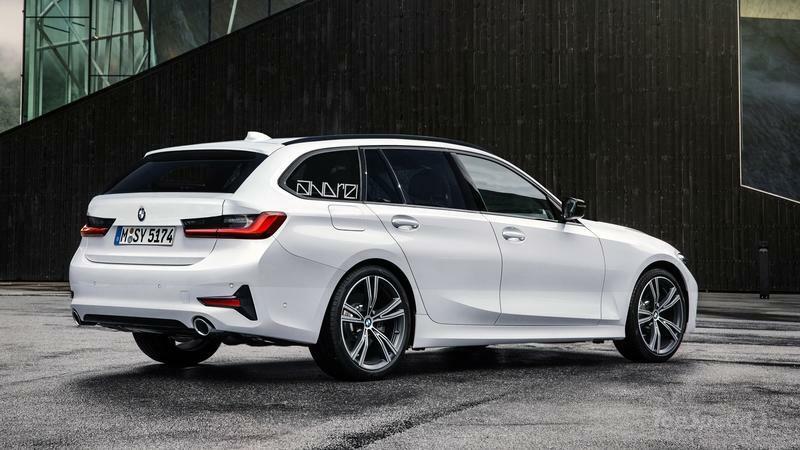 If You Want a New BMW 3 Series Sport Wagon, You Better Order One Now! Unlike Prince Akeem, the new BMW 3 Series Sports Wagon is not coming to America. 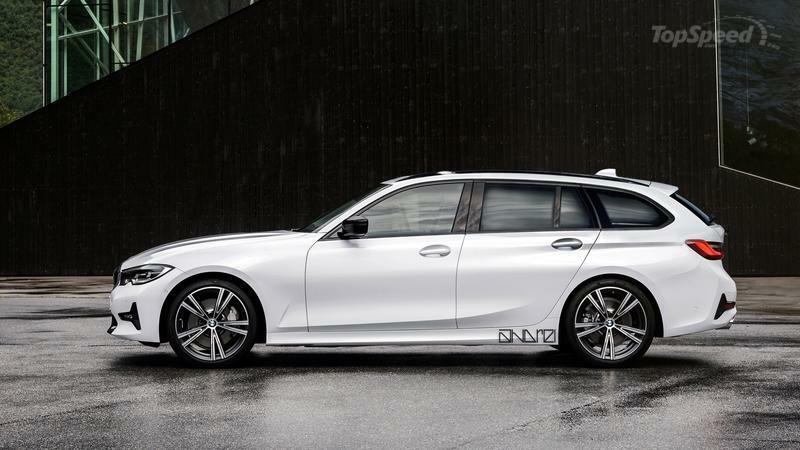 That’s the word from BMW itself after a spokesperson from BMW North America confirmed that the next-generation 3 Series Sports Wagon is not headed to the U.S. market. Simmer’s decision to skip on selling the 3 Series Sports Wagon in the U.S. ends the model’s 20-year run in America. 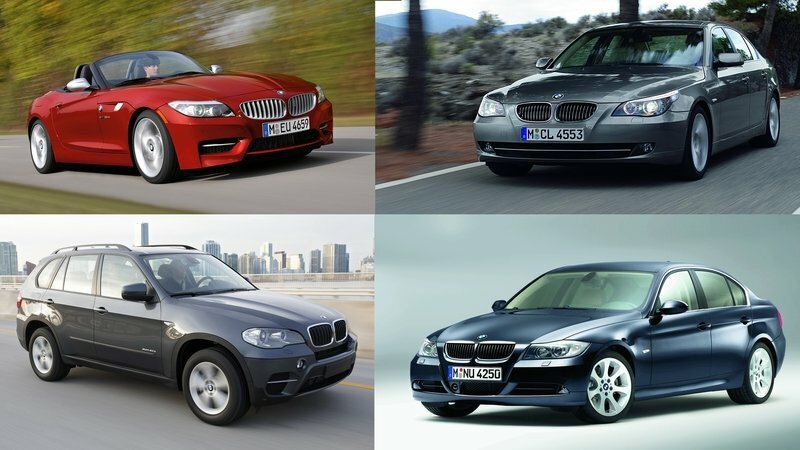 BMW has sold the 3er wagon in the U.S. since the E46 generation, which lasted from 1998 to 2006 before making way for the E90 and F30 generations of the popular nameplate. But now that BMW has switched over to the all-new, G20 generation, the list of models available here in the U.S. will miss one staple. 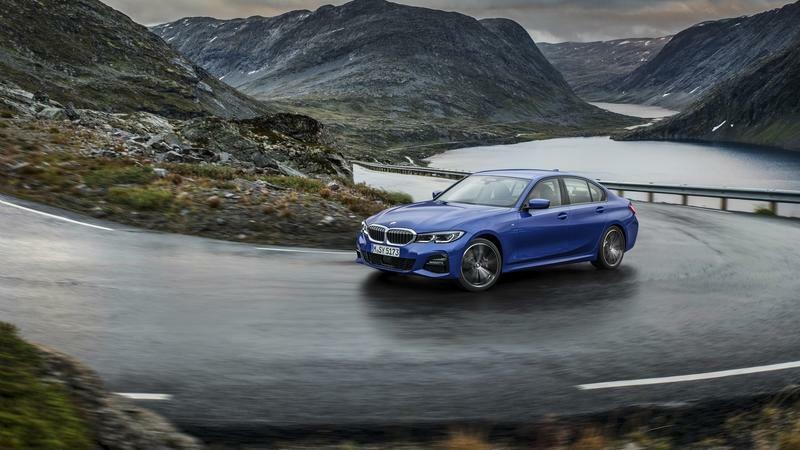 You can still buy a 3 Series Sport Wagon, but you’ll have to settle for the current-generation F30 model. 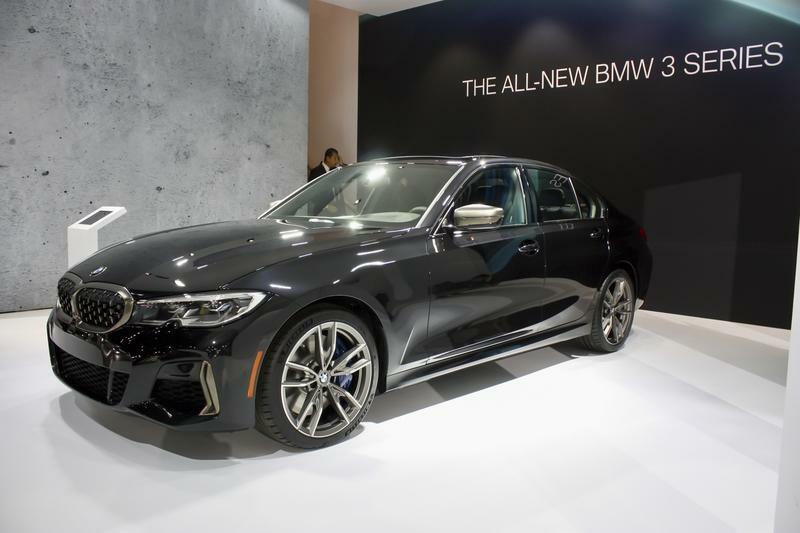 Just before its official unveiling at the L.A. Auto Show, BMW released the first specifications about the best G20 3 Series revealed so far - the M340i xDrive. It is not an M3, but it is really, really close to being one. Actually, the M340i is the most powerful 3 Series ever revealed. Save for previous two generations of the M3. BMW’s 3-Series Gran Turismo is the other practical variant in the 3-Series lineup for those who don’t want to buy the wagon. It actually has more carrying capacity than the load lugger, and unmatched passenger room, as well as a hatchback design, so you can load big items into the back fairly easily. It’s really the amount of interior space that impresses in the 3 GT, a car that is nowhere near as popular as it should be because, from my experience with it, there’s actually a lot to like, and it has a bit of a lovable character. 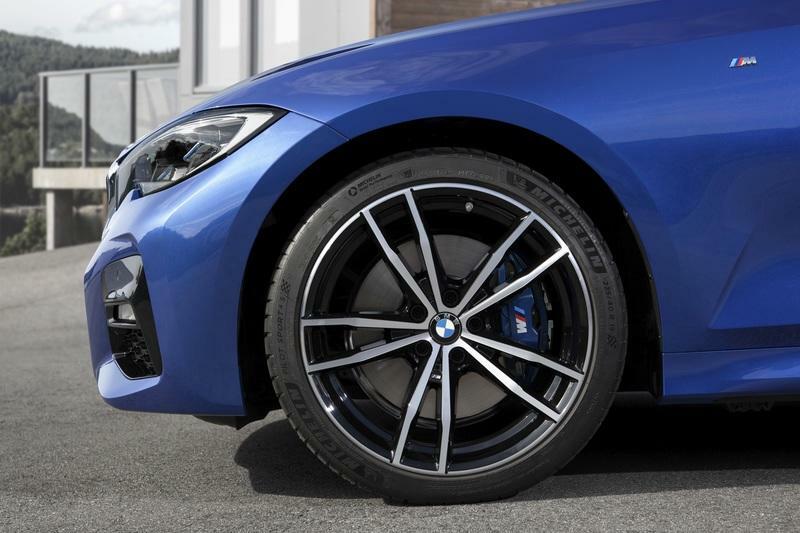 Comfort levels are very high, especially if you avoid the harder suspension of the M sport pack (which apparently ruins the ride quality), and opt for the standard setup with adaptive dampers - it is the most comfortable 3-Series you can buy by quite some margin. Design and styling may not be to everybody’s taste, certainly, but the fact that it has a bit of extra ground clearance over a regular 3-Series and the fact that it’s slightly taller overall, doesn’t negatively affect the way it looks. I think that for a halfway model whose aim is to convince you not to buy an actual crossover or SUV, it looks more than adequate and for some reason better in person than the 6-Series Gran Turismo - its larger and more expensive 5-Series-based brother. In the 330i xDrive Luxury spec I tested, it was motivated by a turbocharged four-cylinder which is easily powerful enough for lively acceleration and not terrible on fuel. I wouldn’t call it explicitly sporty, but it is miles better to throw around a twisty road than, say, the BMW X3, which just feels tall and cumbersome by comparison. 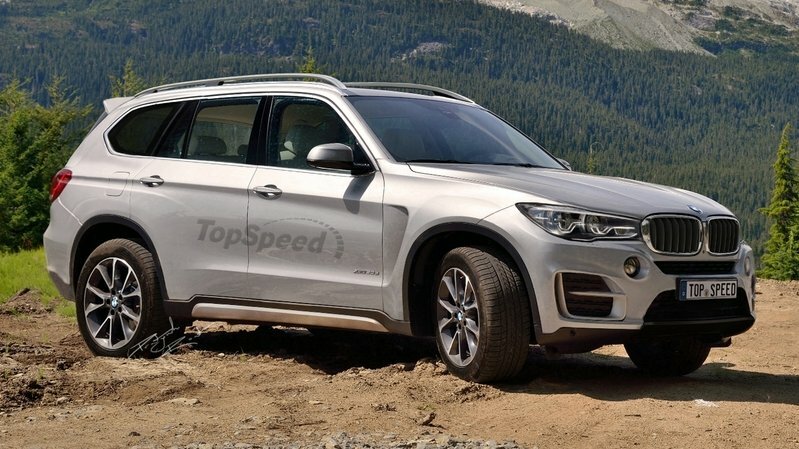 BMW is probably not going to make a follow-up model for this 3 GT, due to its low appeal in these crossover crazed times. That means a few years down the line it will be even less of a common sight so as time progresses people may start looking for these as a rare, slightly oddball model, but one with excellent daily driver credentials. 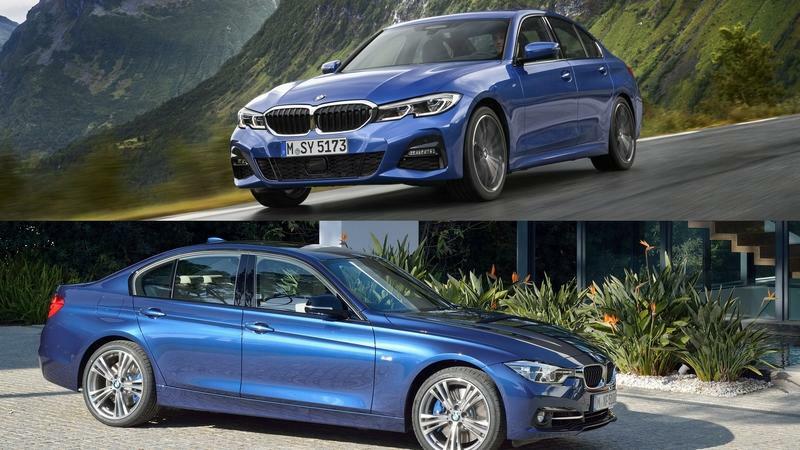 The current BMW 3 Series, otherwise known as the F30, is up for replacement this year, giving way to the upcoming seventh-generation model. Also known as the G20, the fresh Bimmer ‘3 is expected to appear in full production form at the 2018 Paris Motor Show, and with it, a selection of body styles and powertrain configurations will follow. Chief among these will be the Touring model, otherwise known as the “estate” body style. Over here in the U.S., we know it as the Sports Wagon. 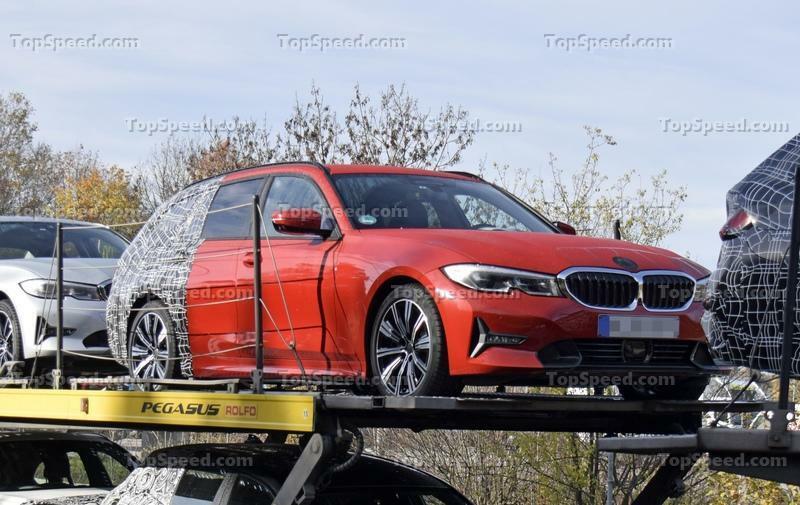 The new 2020 3 Series Touring was recently spied out and about, undergoing testing in real-world conditions to shake down any possible problems ahead of its debut, so read on for our full speculative review. Update 11.12.2018 - Our paparazzi spotted the German wagon on a trailer with less camouflage than usual. Check it out in the gallery section. Continue reading to learn more about the 2020 BMW 3 Series Touring. With more than 15 million units sold since its introduction in 1975, the BMW 3 Series has become a drivers’ favorite. 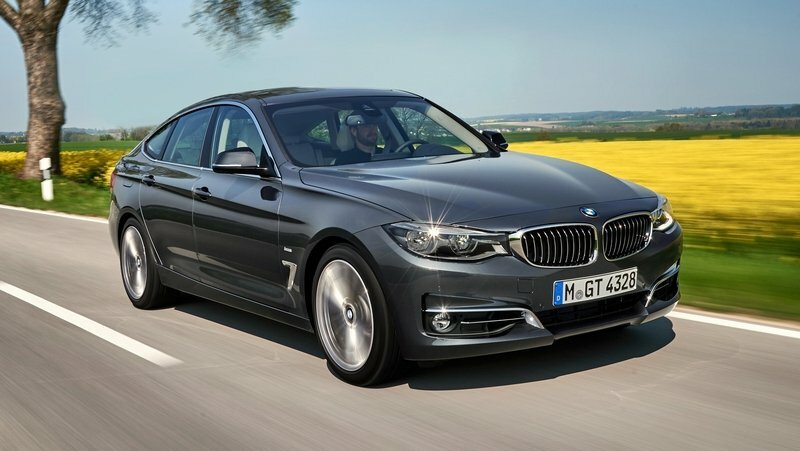 It is a benchmark among sedans and, in its seventh generation, the 3 Series does not disappoint. Not only did BMW fill it with tech that was unimaginable only a decade ago, but the company also improved all the important pieces - it’s lighter, it’s stiffer, it’s faster, it’s nimbler. Yet, with all of that, the 2019 3 Series is bigger than ever. Like BMW E39 big, as we have discussed in this article. As with every new benchmark German car, the 3 Series also comes with a multitude of astonishing tech and advanced features. 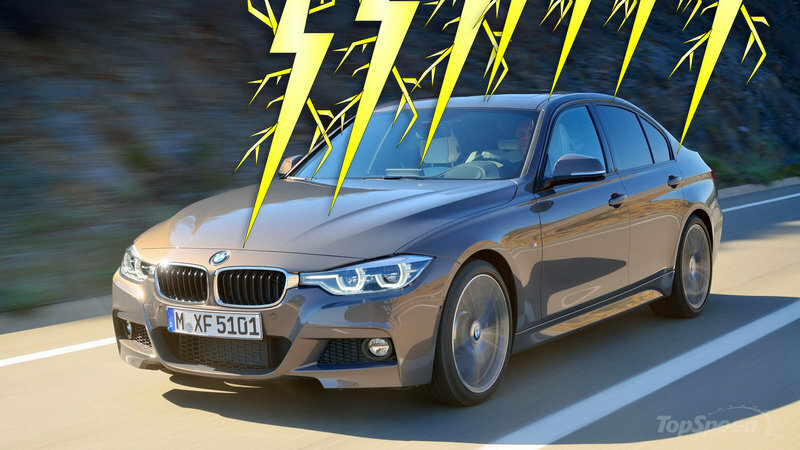 I compiled a list of advancements and equipment that make the new BMW 3 Series far more impressive than ever before. When you learn about this, you will more likely forgive its Peugeot-looking front lights and the massive increase in size. This is an impressive car. The brand-new BMW 3 Series is arguably one of the most important launches at this year’s Paris Motor Show. The German compact executive sedan flexes its muscles in a class defined by the decades-old rivalry with Mercedes and Audi. The latter presents itself with the A4 which was launched two years ago but will undergo a subtle facelift for the 2019 model year. 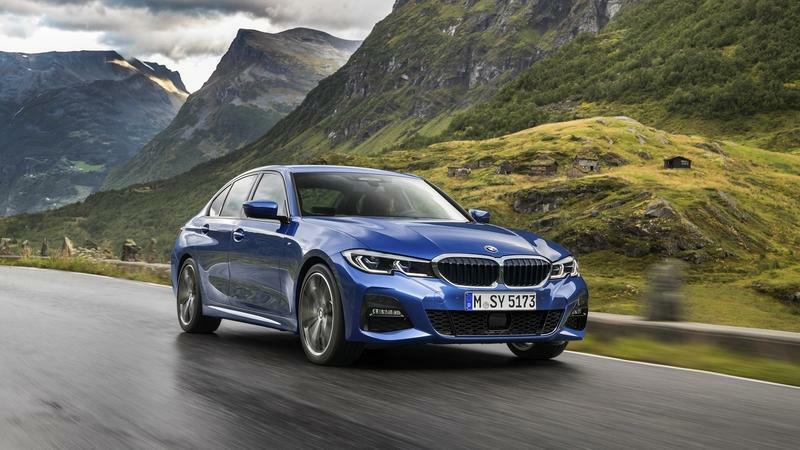 BMW’s legendary 3 Series gets a seventh generation for 2019. Known as the G20, next year’s car has a new platform, is bigger all round and features bold styling even with the lower trim line option. BMW says it is sportier than the previous generations, but purists already lament the lack of a manual transmission. The Audi, in comparison, is a car that’s already reached the mid-point of its production cycle. The styling is more conservative, consistent with Audi’s decision over the past few years to not introduce particularly eye-catching design cues. As such, the BMW might be the one you notice first, but the longer Audi shouldn’t be ruled out from the get-go. 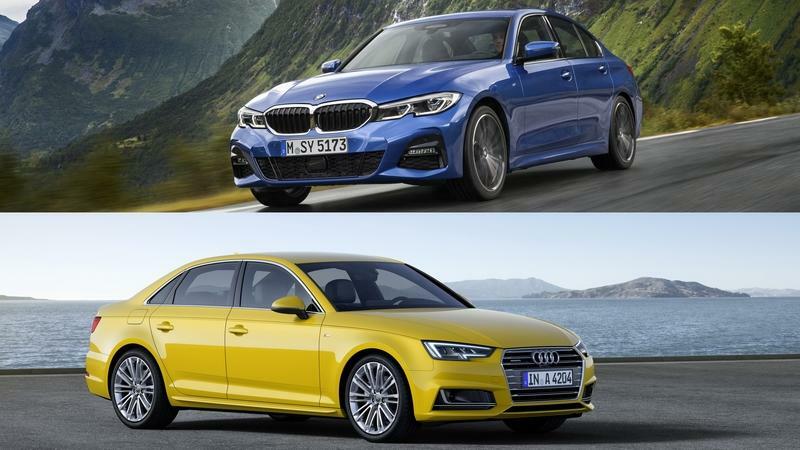 Read on to find how the new BMW 3 Series stacks up against the Audi A4. A forbidden fruit? Not for us! BMW is reportedly going to kill off the 3-Series Gran Turismo, the more practical, slightly taller, longer, and roomier hatchback version of BMW’s bread and butter sedan. Apparently, there is no longer a justification to make a new one as its slot in the range will be filled by new SUV models. The rivalry between the BMW 3 Series and the Mercedes C-Class is the automotive equivalent of the rivalry between Muhammad Ali and Joe Frazier. The stakes are different, sure, but there are no two models that are linked to one another than the 3 Series and the C-Class. It’s fitting, too, that just as Mercedes unveiled the 2019 C-Class a few months ago, it didn’t take BMW long to roll out the next-generation 3 Series. With both models offering something new to the table, it’s only fitting that we compare both models to see which one has the edge over the other. 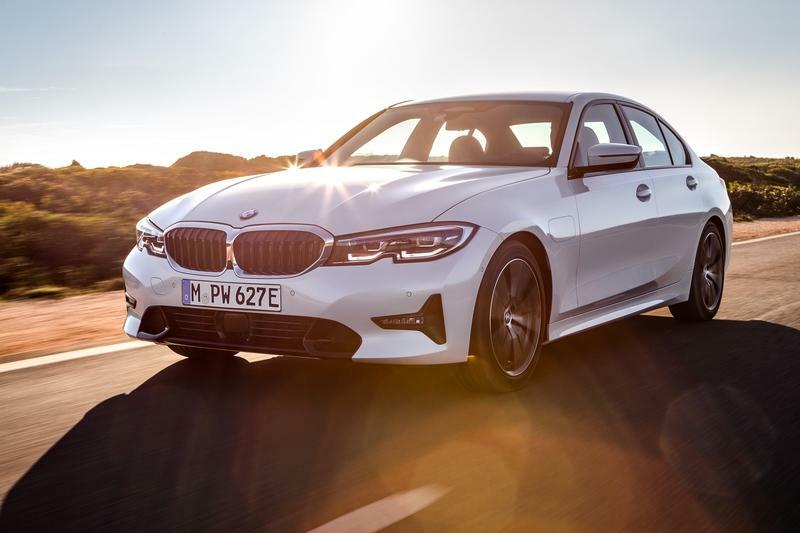 Unfortunately, it won’t make it to the U.S.
BMW has unveiled the seventh generation 3 Series, signaling a new era for the company’s iconic compact luxury sedan. The new 3 Series is a lot bigger than its predecessor, effectively questioning why we still call it a compact sedan. There’s nothing “compact” about the new 3 Series. Not only is it larger than any 3 Series on record, but it’s also lighter, more powerful, and filled to the brim with a lot of interesting tech features. At launch, the new 3 Series will be available in 330i and 340i trim levels. 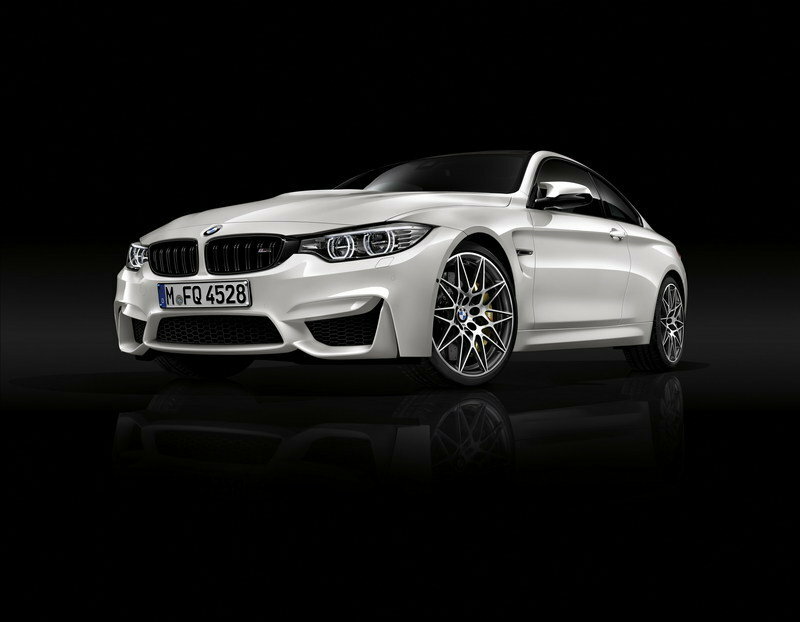 More versions, including the next-generation M3, will become available in the future. Pricing for the new 3 Series starts at $41,245. The Bavarian automaker has lost its patience with people criticizing the last few generations of the 3 Series. This has irked the automaker, and motivated it to aim for new driving benchmarks with its latest mid-size luxury sedan. 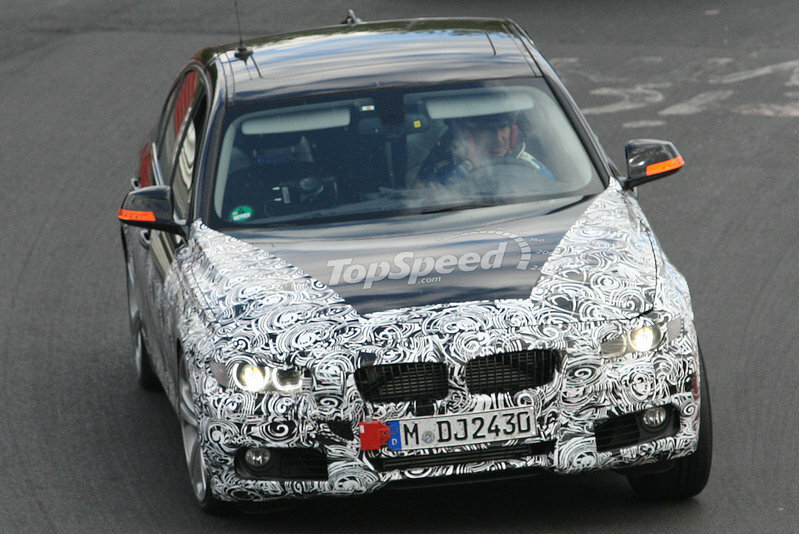 BMW’s development chief, Klaus Frohlich, said that the latest G20 version had to be the best driving car in its class. 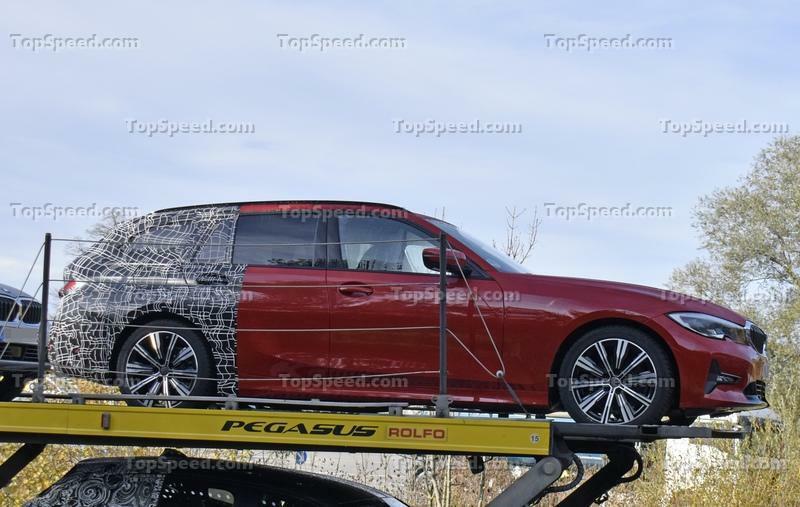 BMW has only just taken the wraps off its all-new G30 3-Series sedan at the Paris Motor Show, but what I want to know is what the estate or wagon version of it is going to look like. So in order to not have to wait until next year when BMW will probably reveal the 3 load lugger, I’ve made my own digital version of it. Why make something new when you can borrow your sibling’s good looks? We enthusiasts are hungry people. Even greedy at times. Now that the new BMW 3 Series has finally been revealed, we can begin speculating about the 4 Series and the updates it will receive. BMW is already working on the new 4 Series, as spy shots of the 4 Series convertible with a soft top in heavy camouflage were captured. Even though they hardly revealed anything, it was enough to conclude that there will be a lot design-sharing with the 3 Series. 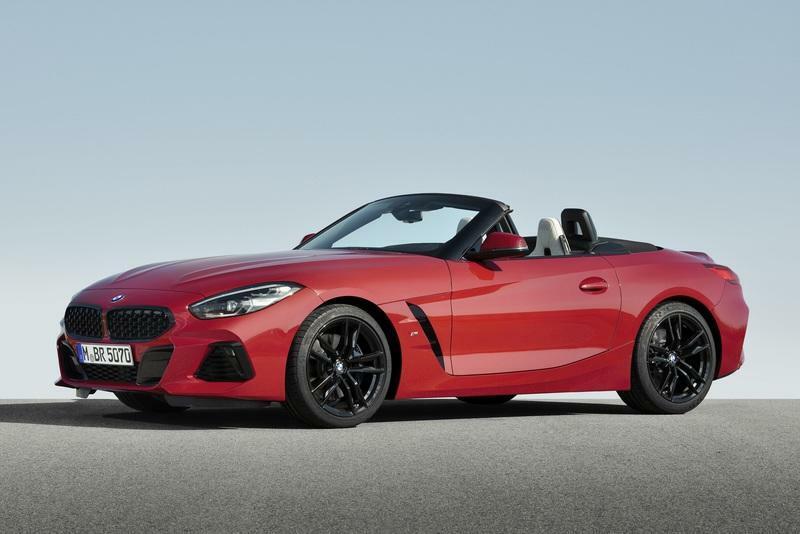 However, now we have a rendering of the hard-top coupe, and we must say it looks delicious. BMW’s all-new 3-Series is causing quite a stir at the Paris Motor Show. The model is bigger, more advanced, and more luxurious, and it even has big luxury car details, too. For instance, it features self-righting (or self-centering) wheel center caps, just like you get in a Rolls-Royce (and literally no other car brand). The BMW 3 Series has just been shown for the first time at the Paris Motor Show. The new car is longer, wider, roomier, sharper and, altogether better I hope. With the new platform supporting the advanced plug-in system and all imaginable modern tech, the G20 3 Series proves to be one of the most important debuts of the year. Focusing on evolution, rather than on revolution, BMW designers precisely, but subtly, reshaped all the trademark elements of the new 3 Series. Yet, despite growing in size and featuring a somewhat different styling, the 3 Series is still recognizable and rather handsome. The 2018 Paris Motor Show kicked off at full blast with many new cars unveiled during the first press day. 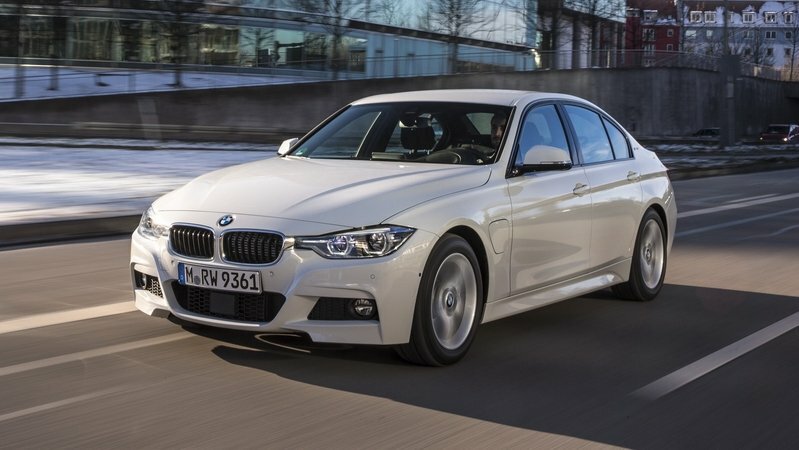 Among them, the new-generation BMW 3 Series is taking all the headlines. 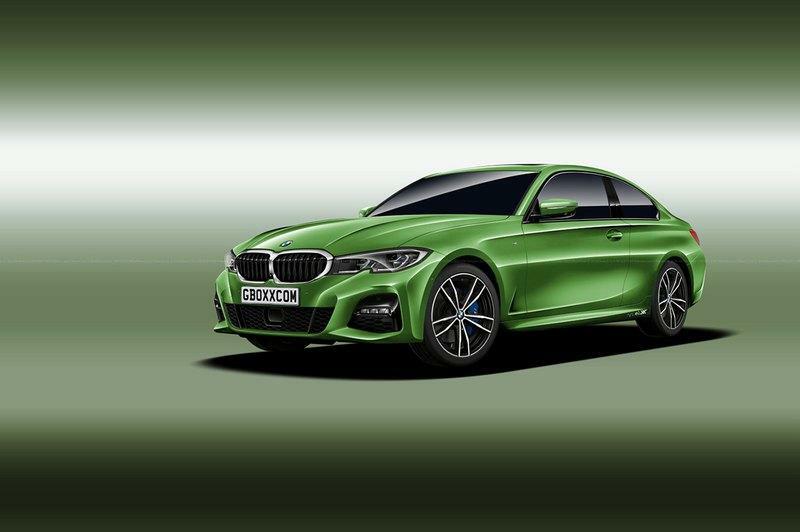 Redesigned from the ground up, the German compact sedan is already available with a batch of new M Performance Parts, which BMW launched during the same event. 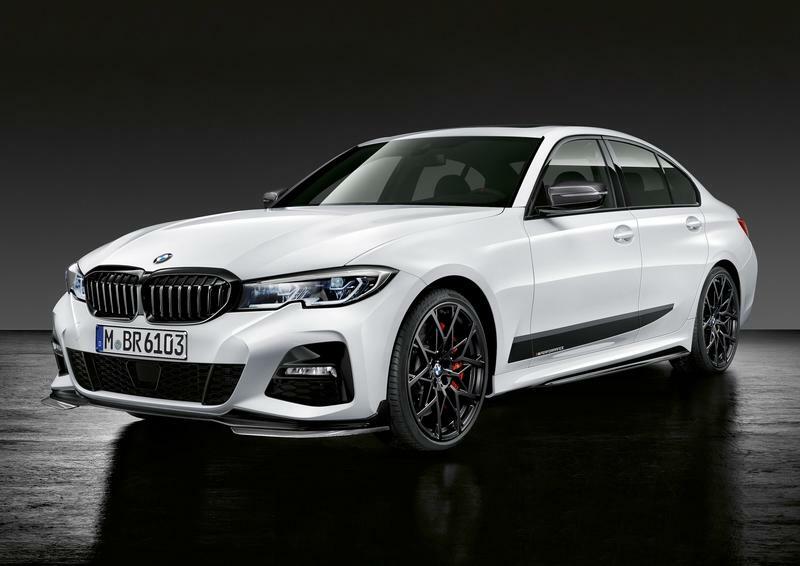 The purpose of these accessories is to enable you to customize your 3 Series and even get it to look very close to an M3 without the premium that comes with the performance sedan. The M Performance Parts bundle is mostly about visuals though, so don’t expect any extra performance. 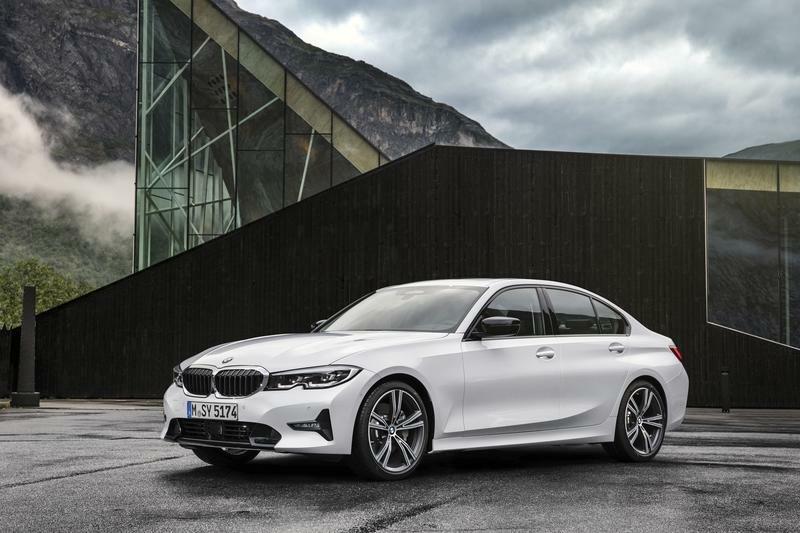 An all-new BMW 3-Series was unveiled at the Paris motor show, but if the official gallery and information did not tell you enough about the car, then why not check out this static walkaround video by Shmee150. Whenever BMW launches an all-new 3-Series, the entire automotive world stops and turns its attention to it. This all-new generation, bearing the G20 internal code name, has officially bowed at the 2018 Paris motor show with fresh styling, an all-new interior, a larger wheelbase and the promise of improved driving dynamics. 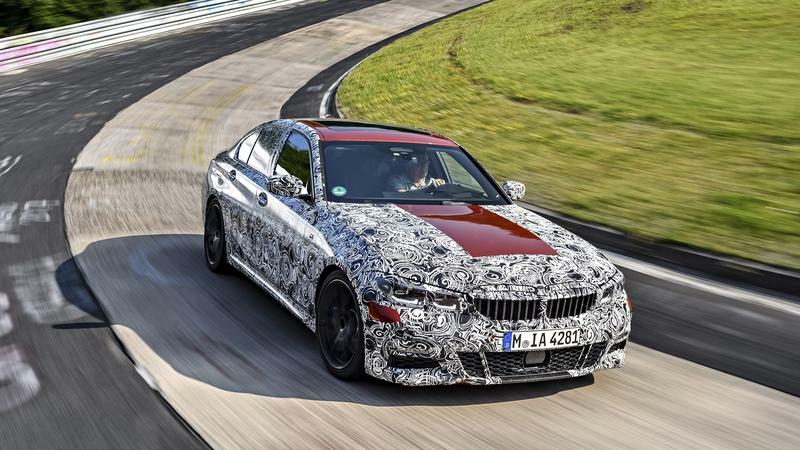 Without further ado, here is the all-new 2019 BMW 3-Series G20, without any camouflage or obscured in any way. These configurator photos show the car from all angles, in various trims and give a detailed view of its completely redesigned interior complete with digital gauge cluster and new infotainment. 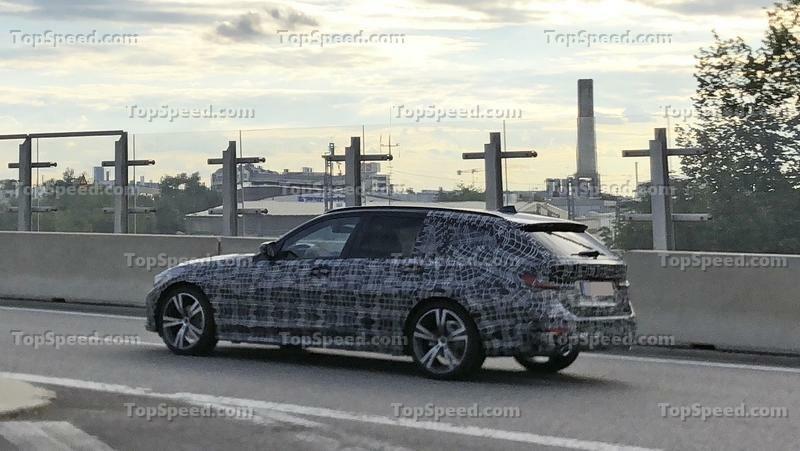 Given how the last couple of months have unfolded with spy shots, leaks, teasers, and what not, the 3 Series is finally here to address all the hype. 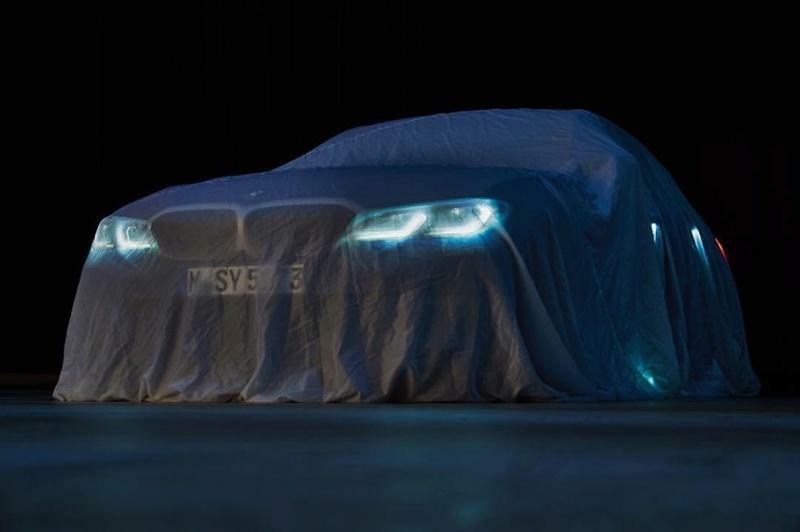 The seventh-generation of the BMW 3 Series will be unveiled at the Paris Motor Show next week. 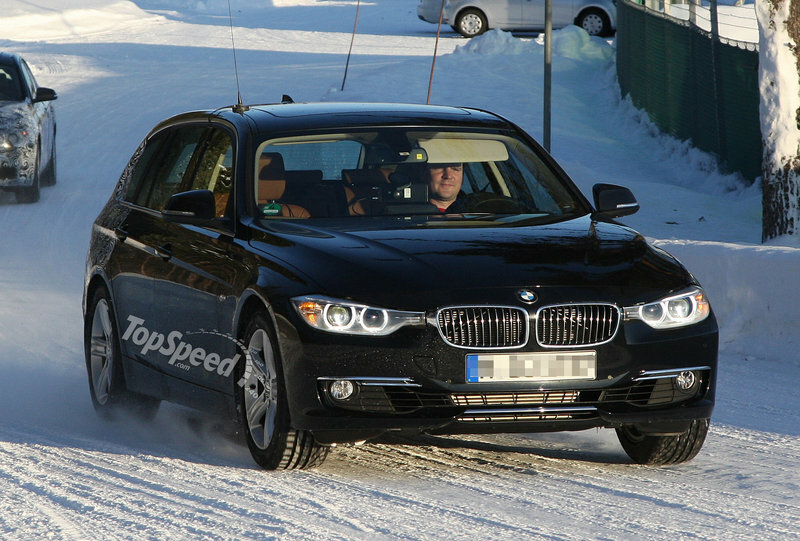 In fact, even BMW has left no stone unturned to make sure that the 3 Series gets the royal treatment it deserves. In a tweet today, the Bavarian teased us again with three new images. Does This Image Showcase the 2019 BMW 3 Series? This is as scandalous as an iCloud leak. There are pictures on every other website. And, it’s of a very well-known celeb. 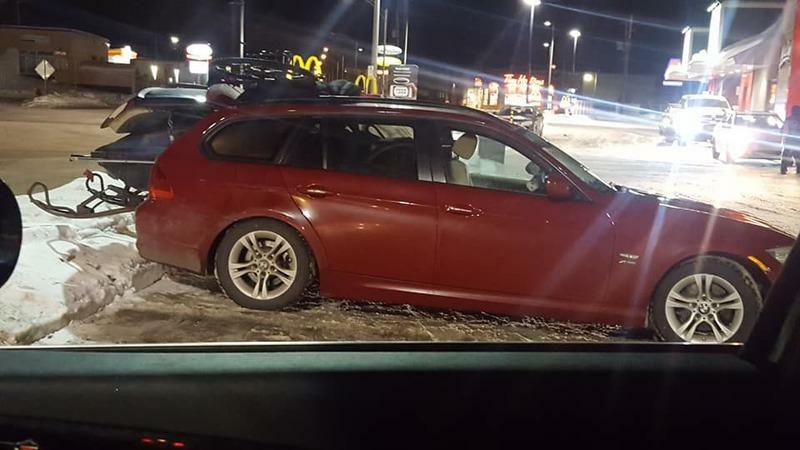 Earlier this week, an image of the alleged new BMW 3 Series started surfacing the auto world. 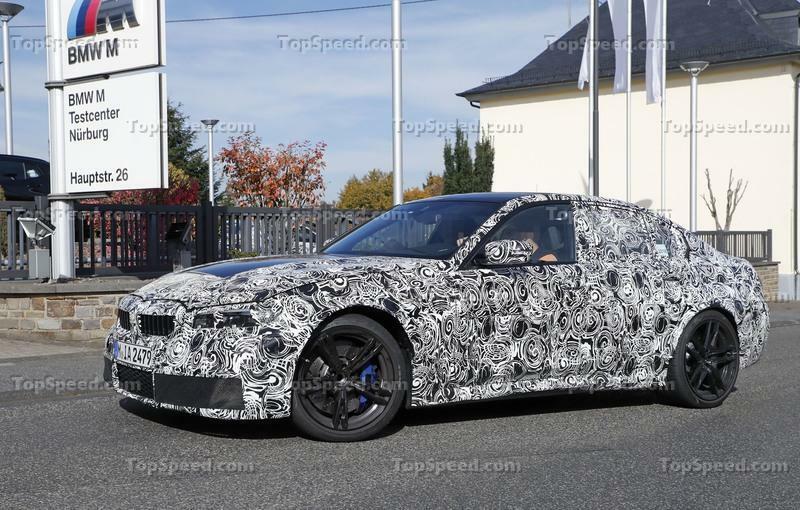 The car under the covers boasts the larger-than-life kidney grille with chrome outers, so it seems to be the upcoming M340i M Performance model. The very same one that is expected to debut at the upcoming Paris Motor Show. Would you take the developer up on offer? A Chinese property developer is offering a BMW 3 Series or a BMW X1 to anyone who buys a three-bedroom unit or townhouse at its development property in Shanghai. The developer, China Merchants Shekou Industrial Zone Holdings Co., is pulling out all the stops to lure buyers in the wake of lending curbs and funding constraints that have squeezed their finances. The giveaway is just one example of the lengths Chinese property developers are going to for the sake of boosting sales. 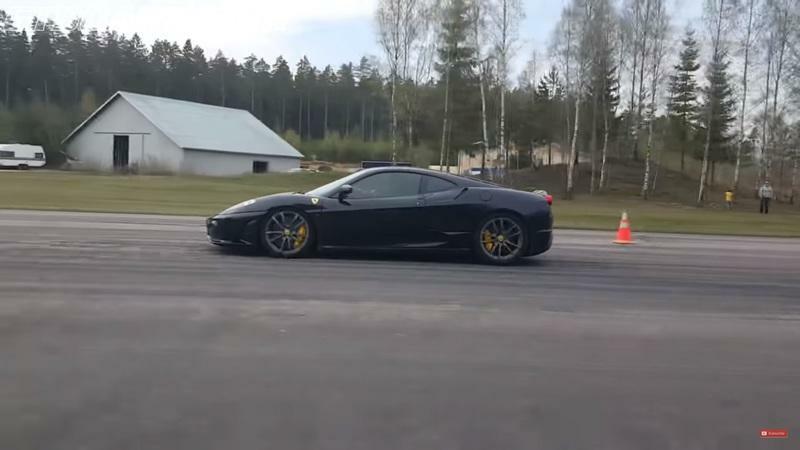 On paper, a BMW E92 335i has no business engaging a Ferrari F430 Scuderia in a drag race. It’s a hilarious mismatch if both cars come in standard form. Fortunately for the Bimmer, it’s not just a typical E92 335i. It’s been tuned to compete with Maranello’s finest on a drag strip. 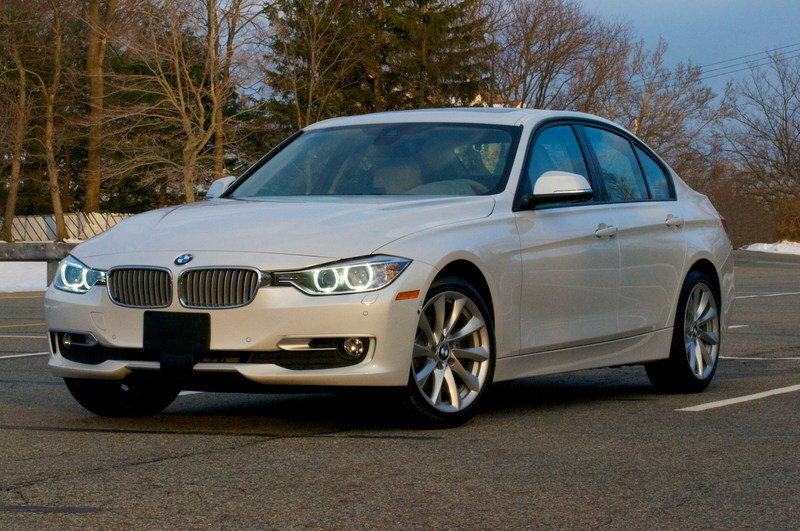 Forty-three years and six generations in, the BMW 3 Series remains the standard-bearer among compact luxury sedans. It’s gone through multiple iterations, but the 3 Series still holds court in a segment that has no shortage of rivals. Now that the sixth- and current-generation model is on its last legs, the seventh-generation model with chassis code G20 is about to enter our lives when it makes its debut at the 2018 Paris Motor Show this October. Ready, get set, go. 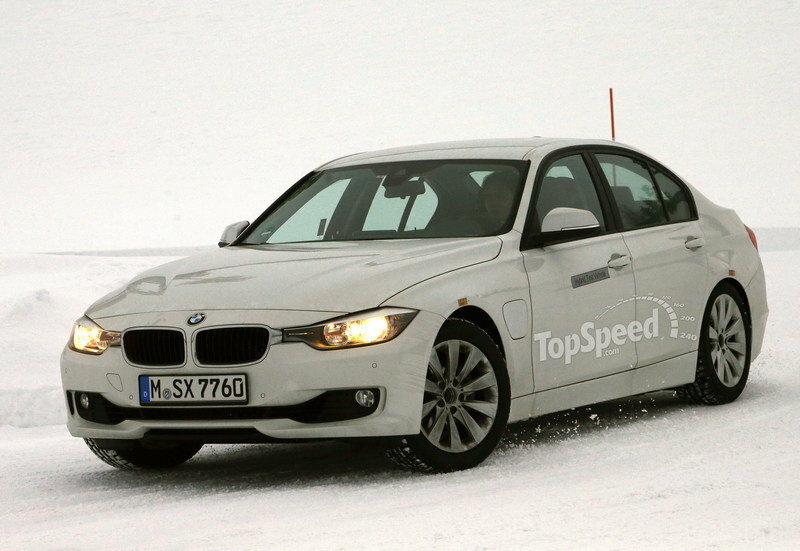 The seventh-gen BMW 3 Series is coming. 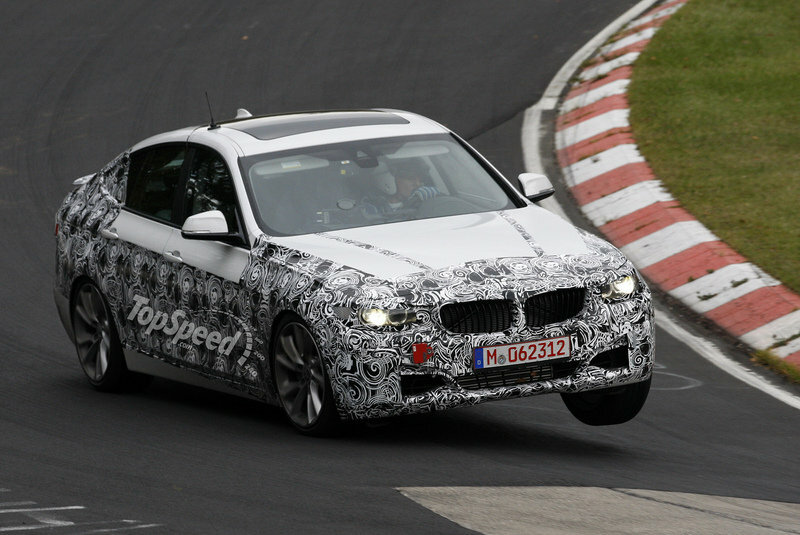 It looks like the BMW 3-Series GT might not see the light of day in the coming decade. 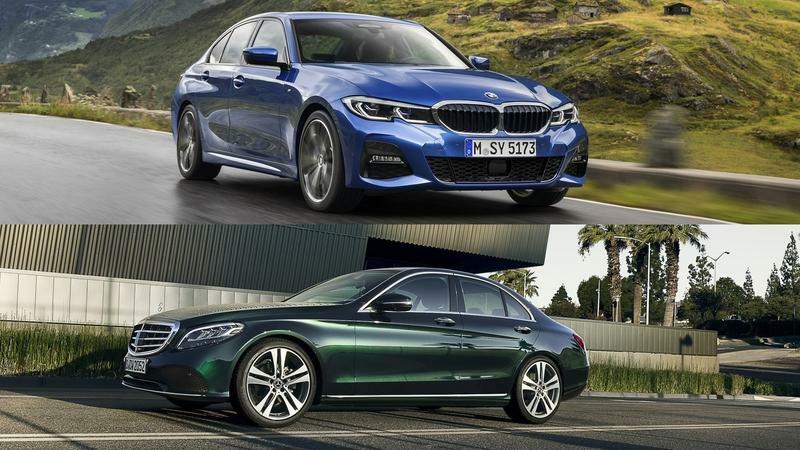 According to BMW Blog, the 3-Series GT will be dropped from BMW’s lineup once the current generation goes out of production in 2020. This is solely because of poor sales figures, and the fact that the widely spread 3-Series has enough on its plate already. 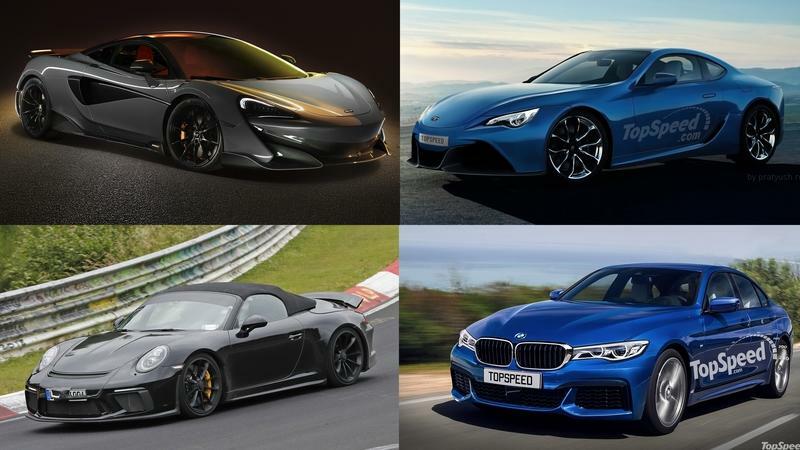 2018 is halfway done, and just as fast as time flies, so too is our insatiable need to see the newest cars hit the street. The first half of the year gave us some incredible debuts. That’s a list that includes the Rolls-Royce Cullinan, the Jeep Wrangler JL, the Jaguar I-Pace, the Volvo S60 and just about every new pickup that was unveiled in the last six months. It’s an eclectic list, sure, but that’s the beauty of the industry. You never know what you’re going to get on any specific day. You just sit back and enjoy the ride. And so, as we embark on the second half of the year, we have some new cars that we’re really excited to see, including a few models that are scheduled to appear at the 2018 Paris Motor Show later this year. 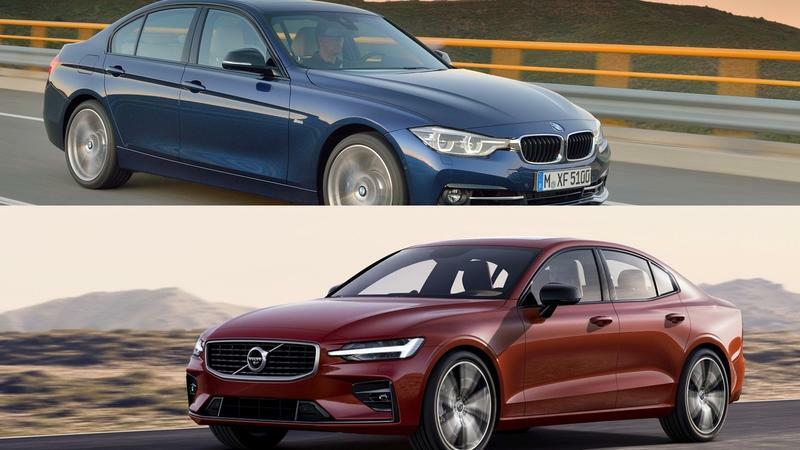 After years of struggle to make a stand in the premium market, the S60 finally has a shot against the leading nameplates in this niche: the BMW 3 Series, Mercedes-Benz C-Class, and the Audi A4. We’ve already compared the S60 to the Merc, so now it’s time to pit it against the 3 Series, the vehicle that has set the benchmark in this segment for many years. Purchased by Geely in 2009, Volvo was subject to a makeover in recent years that saw most of its important models redesigned from the ground up and all engines that weren’t four-cylinders discontinued. The Swedish firm also developed a hybrid drivetrain under Chinese ownership. The first vehicle to sport all these novelties, the XC90, entered production in 2014, but the design and tech expanded to include the S90 and XC40 too. Come 2018, and Volvo redesigned the S60 compact sedan using the same features and technologies, turning it into a shrunken S90. 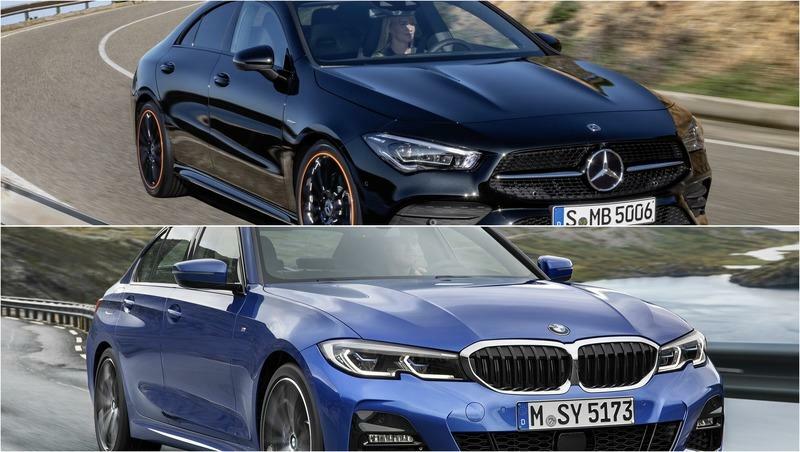 Already seven years old as of 2018, the current BMW 3 Series is getting a bit long in the tooth, especially when compared to the much newer Mercedes-Benz C-Class and Audi A4. Fortunately, a brand-new model is in the works for a couple of years now, and it’s expected to break cover by the end of 2018. 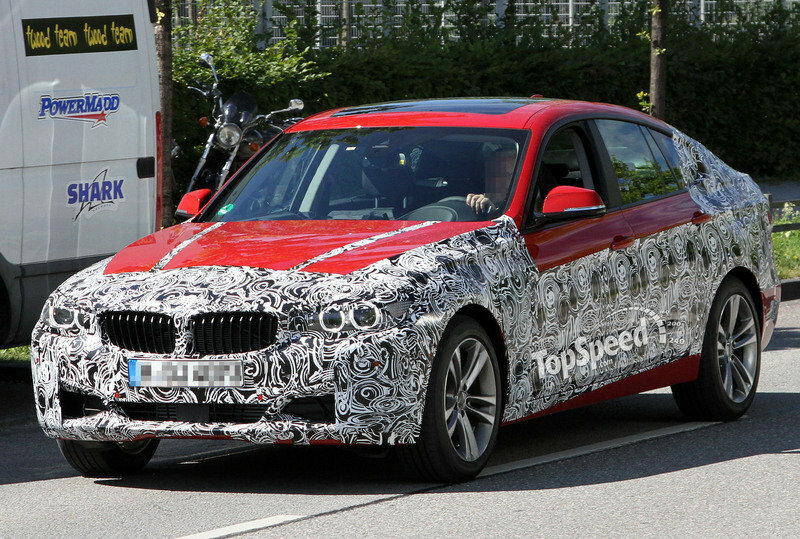 While the test cars are still camouflaged inside and out, the upcoming 3 Series isn’t much of a mystery design-wise, as it will be heavily based on the latest 5 Series. It might take a while until we see the actual car, but a recent leak may have just uncovered the entire engine lineup of the new compact. BMW has been watching the reported problems for a while now..
Times like this, picking a sports car can get a little tricky, especially when money is no object. The range of options cuts across different segments and if you really want to make an impression, the cost of getting one could run up in the seven figures. But for those who don’t have the proverbial “unli-funds” at their disposal, buying a sports car becomes a little bit more difficult. For one, a large number of options are pulled off of the table because of their costs. Then there’s the prospect of availability. But there is some good news. Just because money’s tight, doesn’t mean that the market becomes slim pickings. Far from it actually. Just lower those expectations, and you might find themselves having more than enough options to consider. And, since we’re in the business of helping others out, we’ve put up a list of some sweet performance rides that buyers can score for less than $50,000. I’m purposefully leaving out performance hatchbacks out of this list because they’re an entirely different category of their own. So we’re going with coupes and sedans, some of which can go as cheap as $20,000 while others can max out at or near the $50,000. The point is that they’re affordable and can put buyers one step closer to finally scoring that long-awaited performance car purchase. As we get deeper and deeper into auto show season (get ready for Tokyo! ), we are often reminded of that age-old industry practice known as the facelift. In order to keep older models feeling fresh and new, automakers will often apply an update wherein certain exterior design features get tweaked ever so slightly, thus creating a somewhat different appearance. These design reworks are usually pretty mild – an extra crease here, a larger intake there, you know, that sort of thing. But sometimes, a facelift works some real magic for a car, giving it just the right sort of aesthetic, the sort of style that makes you stand up and shout “Yes! That’s what it’s supposed to look like!” In the above-featured three-and-a-half-minute video, our friends over at Car Throttle highlight six such instances when a facelift was just done right. 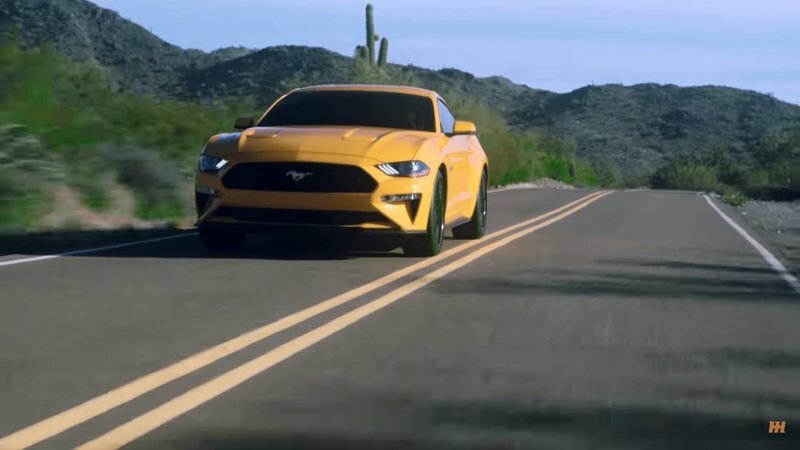 Included in the video is the Ford Mustang, the Nissan GT-R, the BMW E46 3-Series, the Jaguar XF, the Peugeot 306, and the Mazda MX-5 2.5. Throughout, Car Throttle points out what’s different in the new model versus the old model, highlighting why it works along the way. Indeed, the art of the facelift is in subtle effectiveness, with tweaks done that result in a whole that’s greater than the sum of its parts. Synergy is the key, boosting what works, and diminishing what doesn’t. 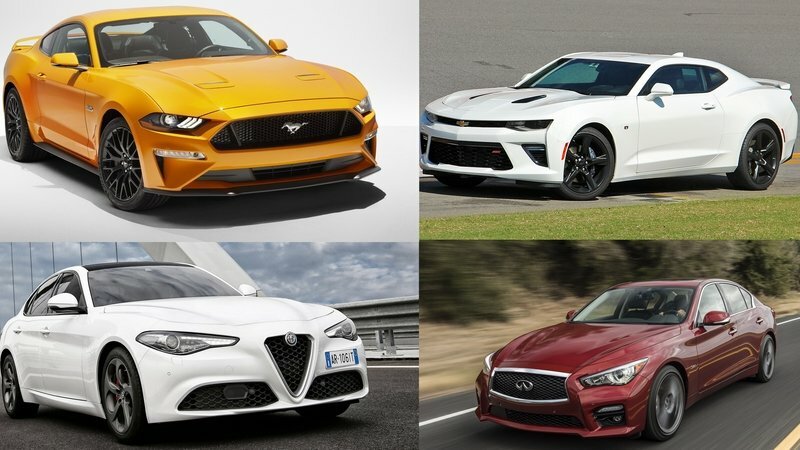 We think Car Throttle is on to something here, and as we dive headlong into a fresh batch of revisions and updates for the upcoming model year, it pays well to take note of what a good facelift looks like. BMW’s positioning itself to have a busy few months ahead with so many debuts on the table. Not that I’m wishing for lighter loads because the cars we’re expecting to see from Bavaria will likely be staples in the brand’s future lineup. 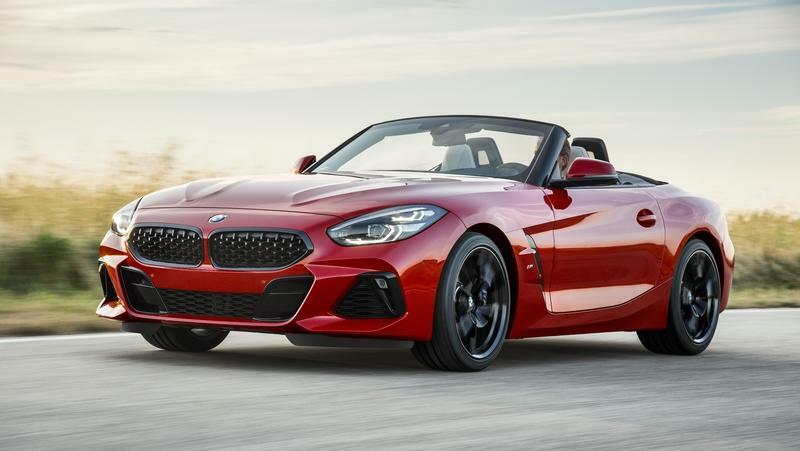 Bimmer already confirmed plans to unveil the BMW Roadster Concept at the Pebble Beach Concours d’Elegance in two weeks. Now, the German automaker’s hinting at more “exciting surprises” to come, this time at the 2017 Frankfurt Motor Show. Obviously, BMW didn’t say what the surprise is going to be because that’ll defeat the whole purpose of the whole thing be a surprise. But company chairman Harald Krueger did drop this bombshell following statements he made about the company’s plan for a greener future in a recent conference call. So it is possible that this surprise has something to do with a model that will be a big part of that “greener future.” If it is, it narrows down the list of potential models that could star in this surprise, and since we’re always suckers for a little sleuthing work, we’ve pinpointed three models that could be Bimmer’s Frankfurt surprise. The annual SEMA show is where all the big names in the automotive aftermarket congregate to show off their latest wares, with plenty of up-and-coming tuners and shops added to the mix to help get the word out. Joining the third party folks is several of the big automakers, which use the event as a springboard to introduce the latest accessories, parts, and concepts. 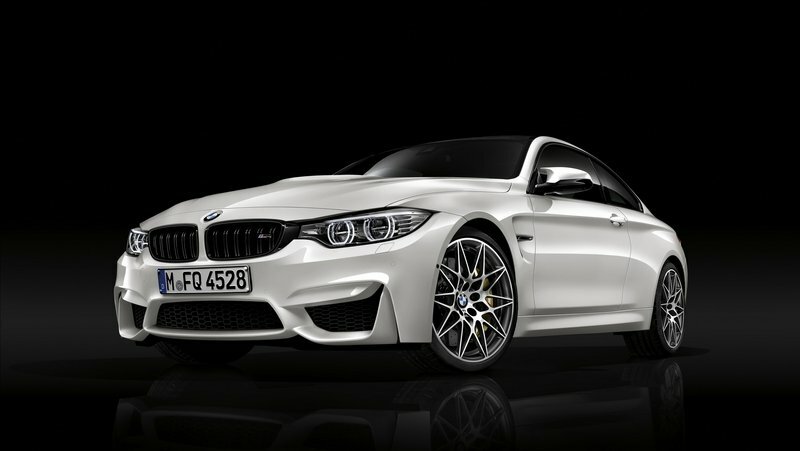 BMW is joining the fun this year, arriving in Vegas to showcase its latest round of extras to carry the M brand badging. Highlights include an M2 Safety Car, an M3, an X5, and this – a sparkling white 340i bearing plenty of the performance division’s embellishments. SEMA is actually a fantastic venue for a showcase like this. As it turns out, the U.S. is the largest consumer of M Performance Parts, touting 20-percent higher revenue than Germany, the next largest consumer. 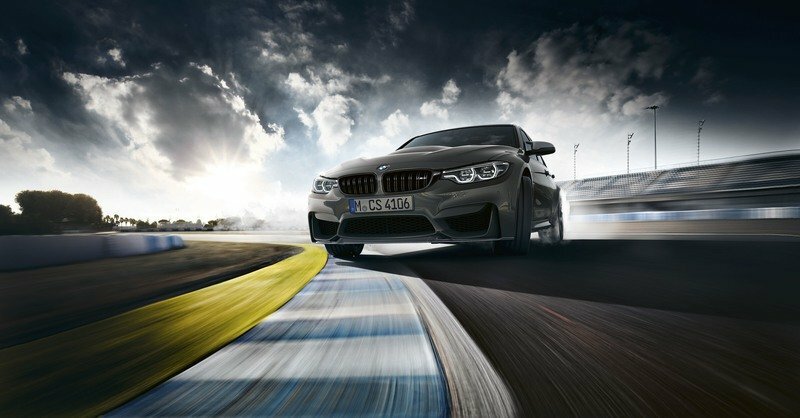 In case you were unaware, M Performance Parts help to bridge the gap between more pedestrian trim levels of a model lineup (like the 340i) and the definitively sporty models in Bimmer’s stable (the M3, for example). This particular example comes draped in an Alpine White paint job, a classic hue for the Bavarian automaker. Complementing the new look is carbon aero and enormous multi-spoke wheels. But the most interesting addition seems to be the M Performance Power & Sound Kit, which adds a few tweaks under the hood for extra (you guessed it) power and sound. Continue reading to learn more about the BMW 340i M Performance. Earlier this year, BMW announced that it was more interested in developing autonomous technology and would essentially shift its focus away from developing electric cars like the BMW i3 and i8. With the “i” division slated to get less attention, there was obviously some drama within the company as executives had mixed feelings about straying away from the brand’s electrification strategy. We weren’t really aware of the tensions within Bimmer over this situation until we learned of rumors that BMW board members had decided to skip the Paris Auto Show altogether to finally put the issue to rest. Now, Handelsblatt has learned from an unnamed source that there has been some progress made and that some BMW models will see electrification without getting the official “i” treatment. With the BMW i3 struggling to meet sales expectations, it isn’t really a surprise that some executives are iffy on investing more money into the brand’s electrification strategy. But, according to that unnamed sources, executives have agreed to bring battery power to not only the 3 Series but the BMW X4 crossover as well. Furthermore, Mini will also see some electrification with at least one Mini model absorbing a battery pack and electric motor into its architecture as well. For now, this is all rumor of course, but word has it that the electric Mini would take some DNA from the Mini Rocketman Concept. There’s no word as to whether or not the electrified 3 Series and X4 would be an all-electric or plug-in hybrid, so it could really go either way. BMW should come to a finalized decision sometime this month at which point the company will make an official announcement. BMW is adding yet another model to its 3 Series lineup, this time in the form of a plug-in hybrid that will be known as the 330e iPerformance. The car takes a four-cylinder gasoline engine with TwinPower Turbo technology and mates it with eDrive technology derived from models like the BMW i3 and BMW i8 to deliver upward of 250 horsepower and more than 200 pound-feet of torque. As is the case with most plug-in hybrid models, the 330e iPerformance can be driven on battery power alone for a limited distance. The 3 Series has arguably set the bar for things like performance and fuel economy in the past, so it’s no surprise that BMW looks to raise the bar again with this plug-in hybrid. The entire electric system has been strategically integrated into the 3 Series to ensure optimal weight distribution and energy savings and, as you would expect, the 330e iPerformance can be charged on the go through ChargeNow – BMW’s i mobility service that offers more than 30,000 charging points in 22 countries. The 330e goes on sale this summer and will be considered the range-topping model price-wise in the U.S. with a starting invoice higher than that of the $43,000 3 Series Gran Turismo. Before get to further into detail on that, let’s take a closer look at the 330e iPerformance and all it offers. 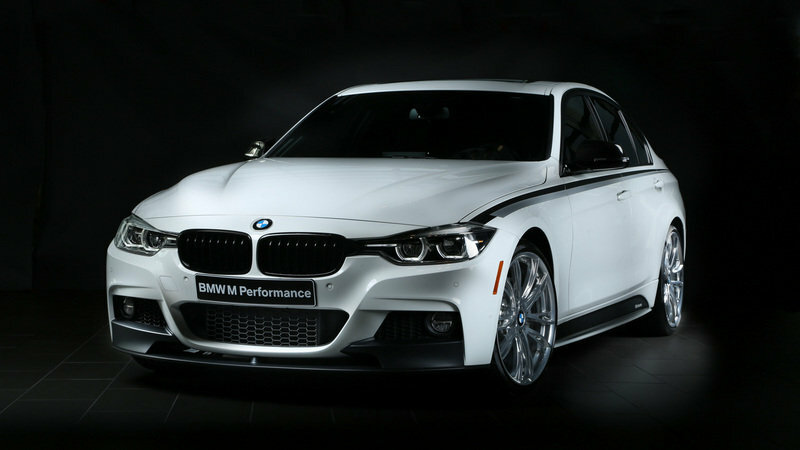 Update 06/24/2016: Bimmer has announced pricing for the 2017 BMW 330e iPerformance sedan. Check out the prices section below for all the details. Continue reading to learn more about the BMW 330e iPerformance. Petrolicious has done a number of biography pieces about people and their cars, and the most recent biography tells the story of Delia Wolfe and her 1991 BMW 318S – a car she believes to be the spiritual successor to the BMW 2002. It’s hard to talk about the video without ruining it, so I won’t do that here. Instead, I’ll talk about the E30 for a minute. It was originally penned by Claus Luthe in 1978 and was produced in a number of body styles between 1982 and 1993. It was a reliable model set that became cheap to obtain and modify and is the definition of reliability brought forth by German engineering. For what it’s worth, that is also proven in this video, as Wolfe reveals that her restored 318S has more than 300,000 miles. I could talk all day about the BMW E30, so instead of putting you through all of that, click play and enjoy the video. The BMW 3 Series Gran Turismo is the latest variation of the company’s iconic 3 Series sedan and was introduced in 2013, two years after the standard, sixth-generation four-door made its public debut. 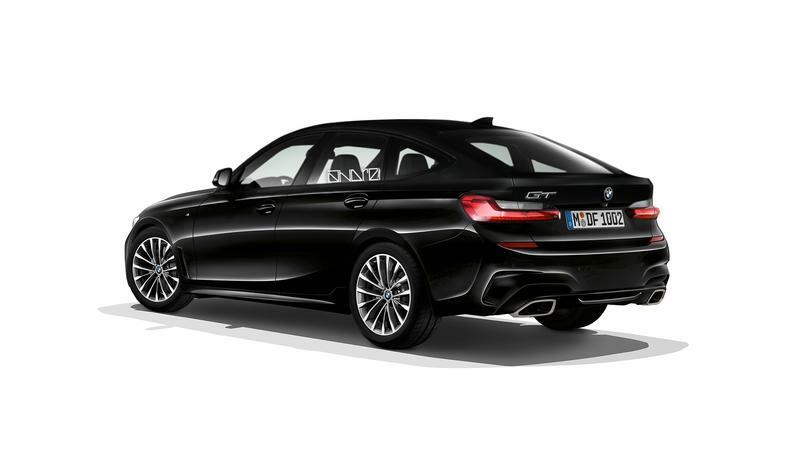 Developed with customers looking for a smaller, sportier version of the 5 Series GT in mind, the 3 Series GT has a longer wheelbase, taller body, and hatchback-like rear end compared to the standard 3 Series. Engine options are virtually the same, except for the M version, which has yet to be offered on the GT model as of 2016. 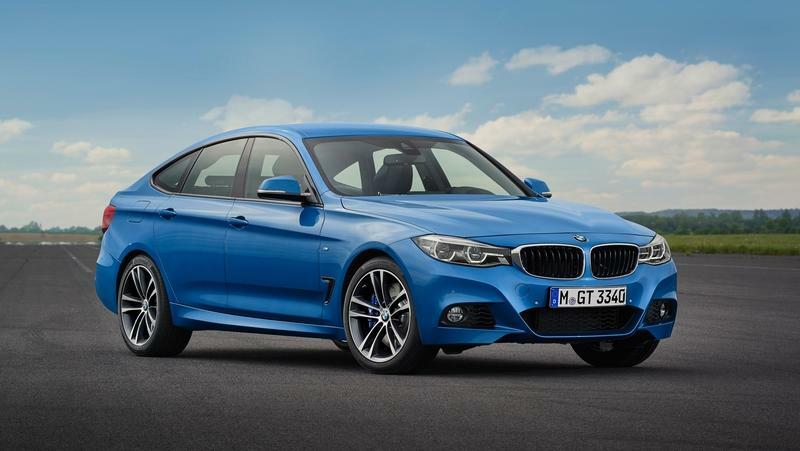 After three years on the market, the 3 Series GT has received its first mid-cycle revision. Not surprisingly, changes are in line with the facelifted sedan and wagon version of the compact model. Specifically, styling revisions are rather mild on the outside, while the interior gains only a handful of updates. 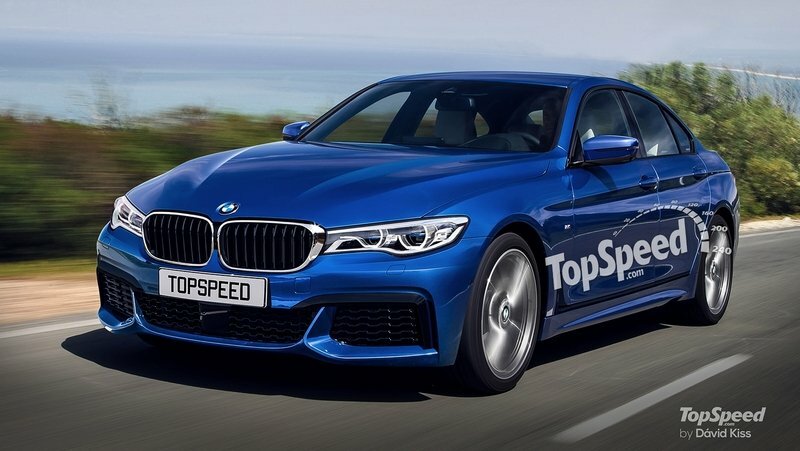 The most important additions are in the drivetrain department, where BMW introduced three new turbocharged gasoline engines. The facelifted 3 Series Gran Turismo goes on sale in summer 2016 and will likely stay in showrooms until at least 2018, when the next-generation sedan is rumored to break cover. Until that happens, let’s have a closer look at the new features available on the current 3 Series GT. 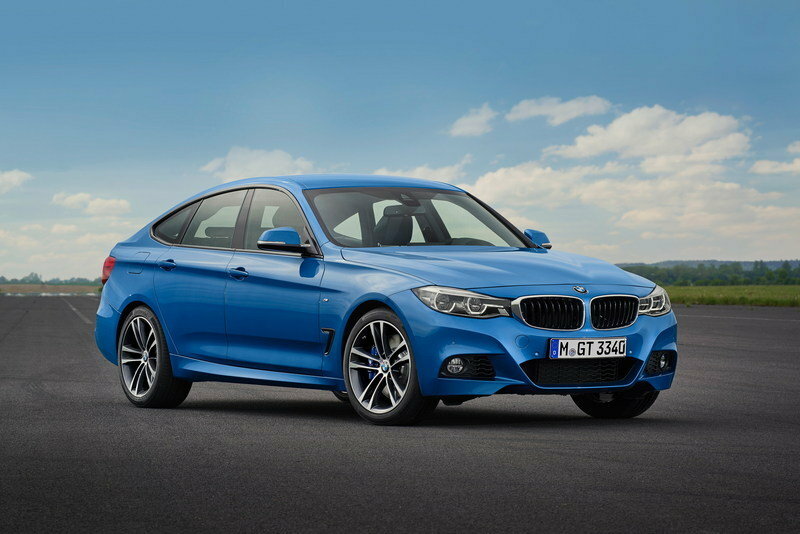 Continue reading to learn more about the BMW 3 Series Gran Turismo. 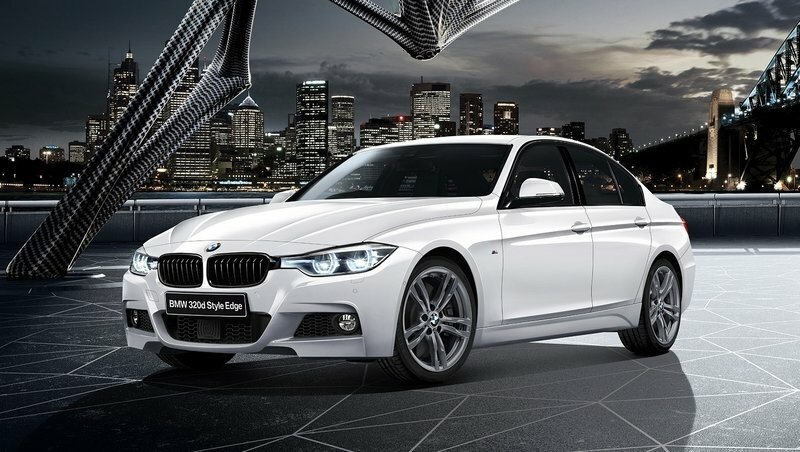 2016 BMW 320d Celebration Edition "Style Edge"
BMW has picked the BMW 320d to create the third installment of its 100th-anniversary celebration. This time around, there will be 200 examples of the 320d and 200 examples of the 320 Touring built with a few exclusive exterior features and special interior appointments. 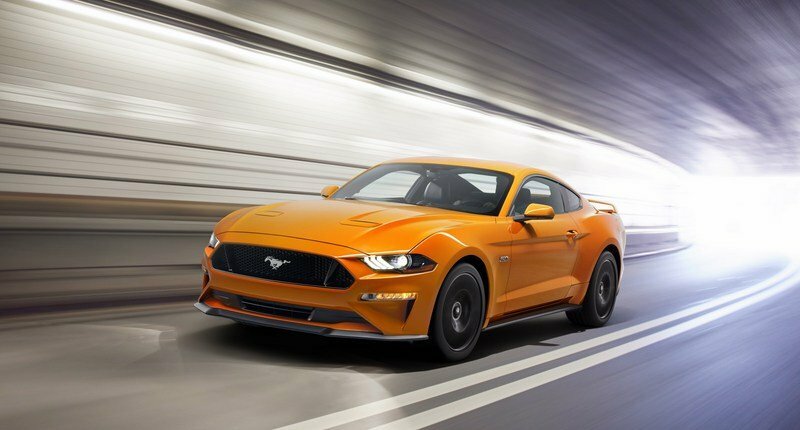 Best of all, the two models will be equipped with BMW’s next-gen B47, 2.0-liter, four-cylinder, clean diesel engine and a ZF eight-speed automatic transmission. The model is set to go on sale on May 28th in Japan and is expected to be sold in a short period of time. With a Japan launch, obviously those of us in Europe or the U.S. will probably never get to lay eyes on one, but it’s at least worth knowing about. As expected, the 320d Style Edge 3 models get some M Sport love and a little bit of attention from BMW Individual too. Pricing for both models tips in between $50,000 and $55,000, which will be about $10,000 more than their standard-model counterparts. So, coming in at a $10,000 premium, the Style Edge models must be pretty special, right? Well, let’s take a look at what BMW did with them to make them worth being part of its 100th anniversary. 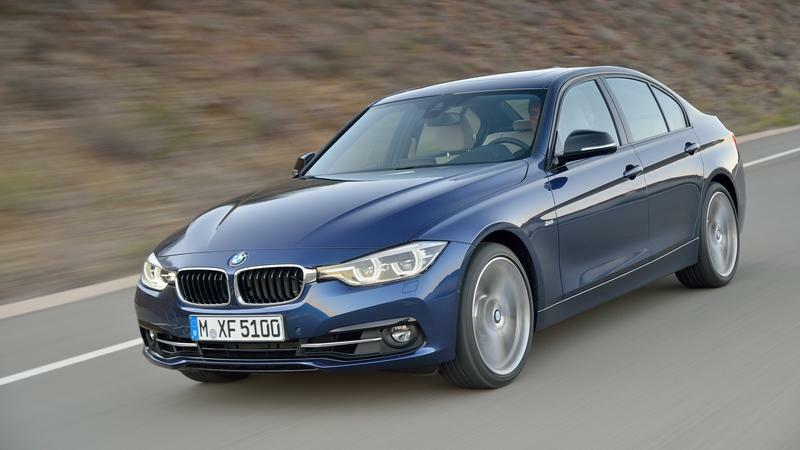 Continue reading to learn more about the BMW 320d Celebration Edition "Style Edge"
The BMW 3 Series is one of the most regarded BMW models in history. It’s also one of the most enduring cars on the road, a distinction it has earned through an existence that has lasted for 40 years. Today, the 3 Series is in its sixth-generation after having spawned numerous versions and iterations in the past. It’s an incredible achievement for a car that has etched its place in the annals of BMW lore. 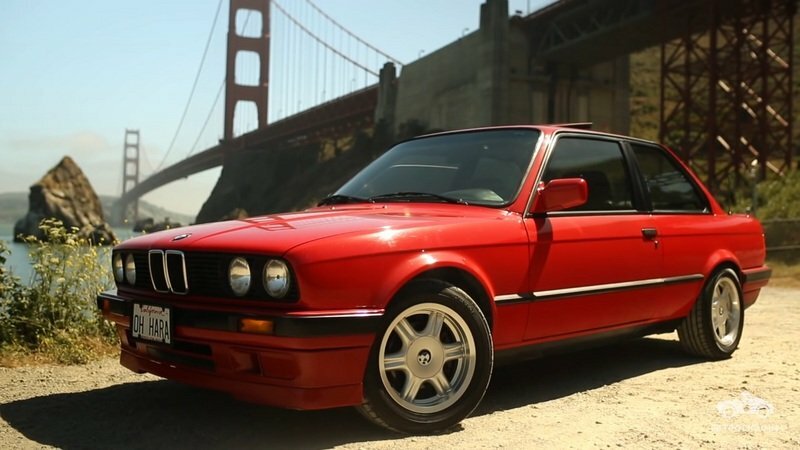 Carfection’s Alex Goy recently took the time to talk about the history of the 3 Series. 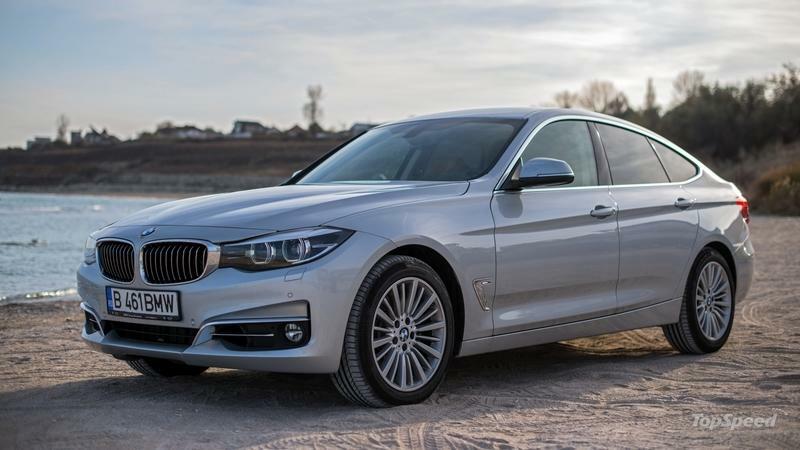 The nostalgic trip down memory lane was probably prompted by the fact that he was test driving the new BMW 320d, but motives notwithstanding, Goy gives a pretty in-depth account on the life of the 3 Series. It’s pretty enlightening, especially if you haven’t seen any of BMW’s own string of episodes documenting the life and times of its most iconic model. I’m not going to dive too deep into the details of this episode because it deserves your full attention. What I will tell you thought is how important the 3 Series has become for BMW. Sure, it might not have the performance capabilities of its bigger siblings. it doesn’t even have the same amount of refinement as, say, the 5 Series or the 6 Series. But, the 3 Series had one thing that no BMW car could offer. It had a personality that was compatible to its market, especially to people who wanted to buy a BMW without having to spend too much money on it. That’s one of the biggest reasons why the BMW 3 Series is BMW’s best-selling model in history, accounting for — at one point in time — over 30 percent of BMW’s total annual sales, not including motorcycles. That’s what the 3 Series is all about and that’s why the car, to this day, remains as one of Bavaria’s most popular and most important models. The current BMW 3 Series may have evolved drastically from its predecessor, but one thing remains true: it still stands as the heart and soul of BMW’s entire model lineup, appealing to arguably the widest range of markets compared to other BMWs. 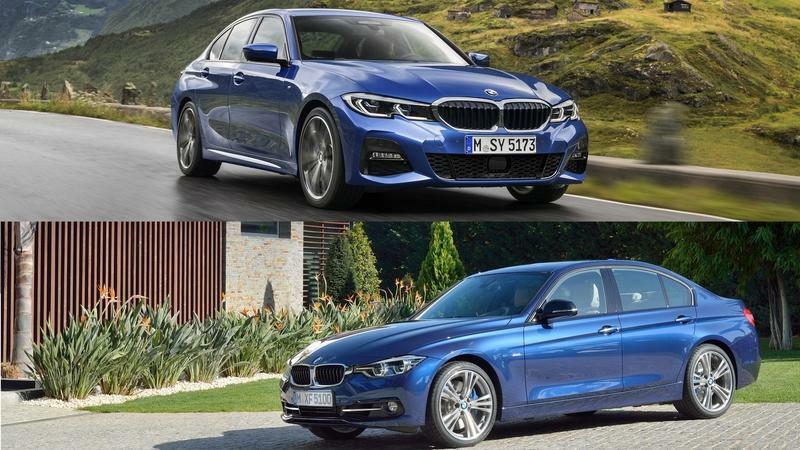 For the longest time, the 3 Series has more than held its own in a market that dictates that a model should have a nice blend of luxury, sportiness, and performance. Along those lines, AC Schnitzer has built a great reputation in the aftermarket scene, thanks in large part to embracing those same qualities in its tuning programs. No more is that evident than with its latest offering for the 3 Series. The kit itself includes everything you’d want for your BMW 3 Series. 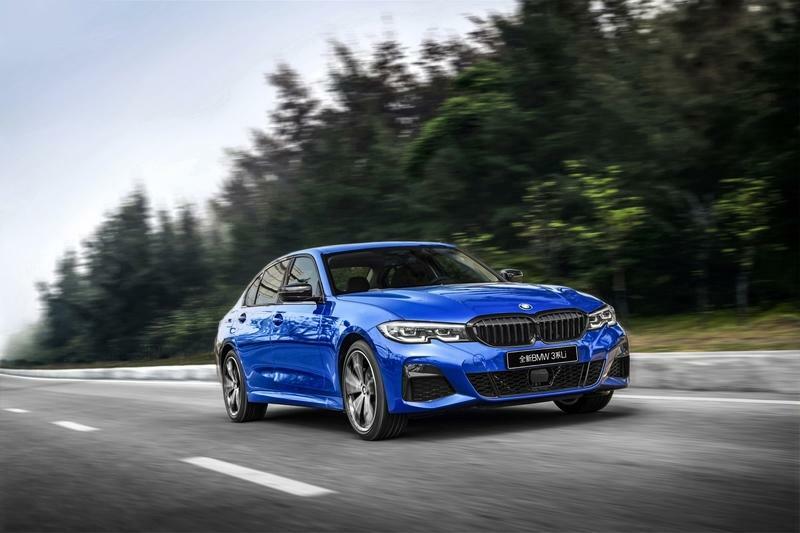 It has cosmetic upgrades, aero components, interior modifications, and most of all, engine enhancements for close to the entire range of 3 Series models. The lack of any bombastic conversions on the exterior may be a sore spot for some, but by and large, this is as comprehensive a kit as there is for the 3 Series. 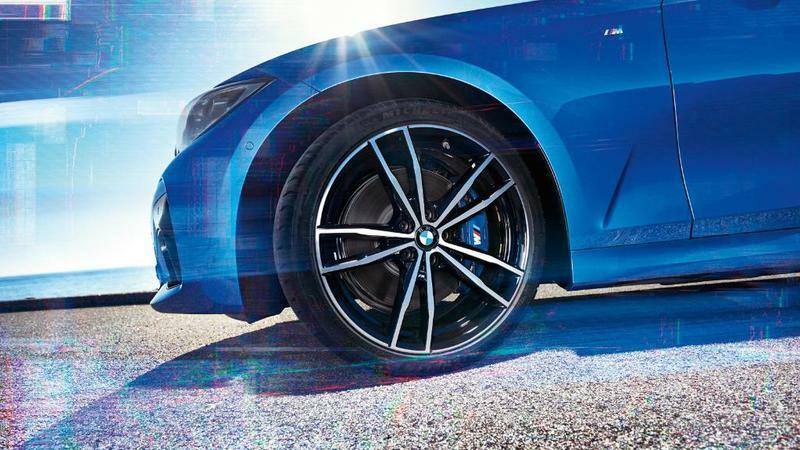 It certainly comes as no surprise that AC Schnitzer is involved in it. 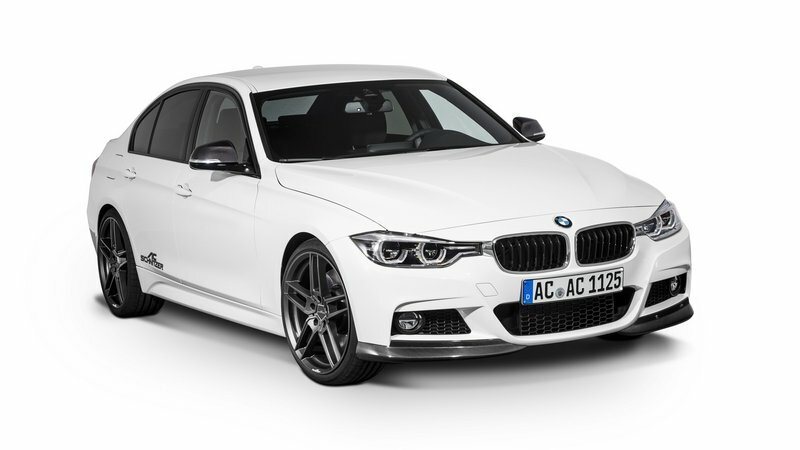 Continue reading to learn more about the BMW 3 Series LCI by AC Schnitzer. When it came time to replace the 2002 in 1970s, BMW probably didn’t have expectations of creating an automotive icon, much less an entire class of car that would still be relevant over 40 years later. 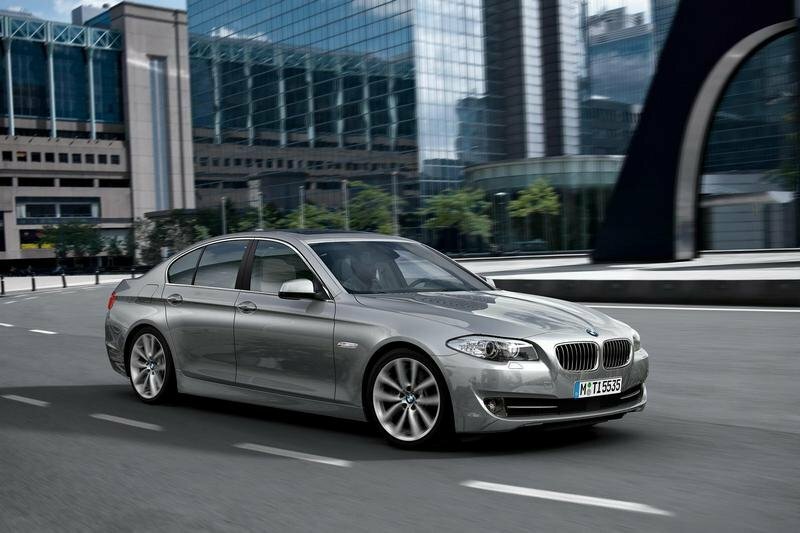 Now, after starting production in 1975, BMW is celebrating the construction of its 10 millionth 3 Series sedan. BMW has now built a total of over 14 million 3 Series. 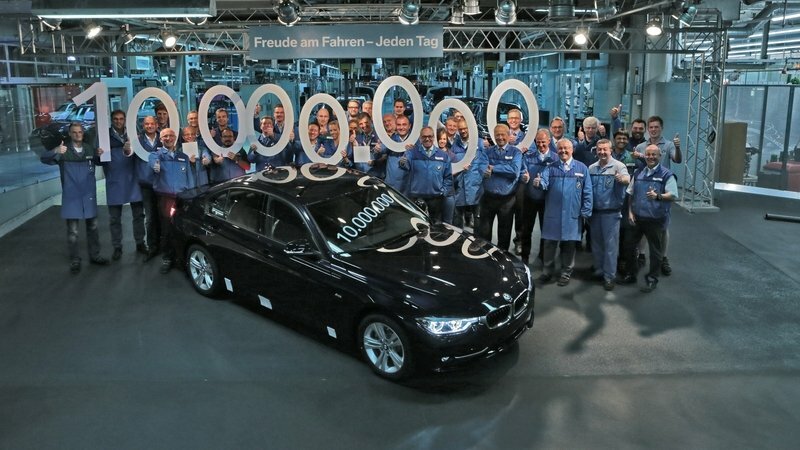 The 10-millionth 3 Series sedan was completed at BMW’s Munich plant, and is an Imperial Blue 320d. The Munich plant was originally built in 1922 and is the only plant that has produced all six generations of the 3 Series. The plant currently produces 1,000 cars per day, about half of which are 2016 BMW 3 Series.